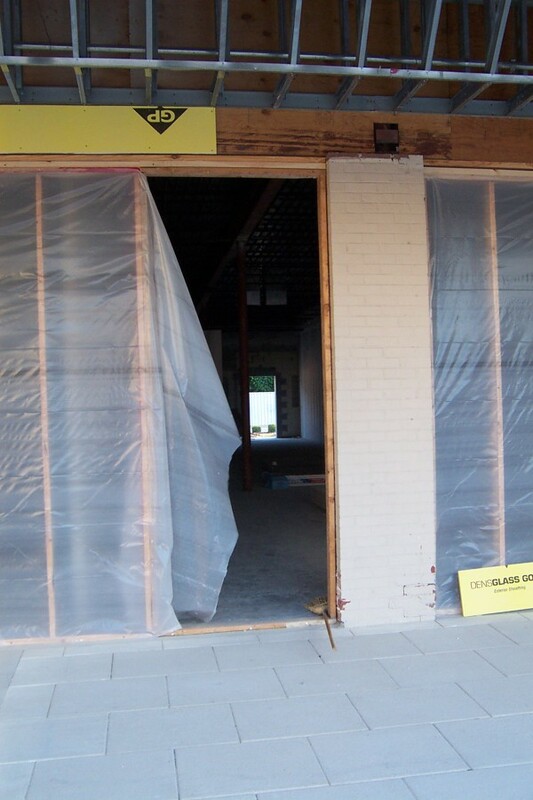 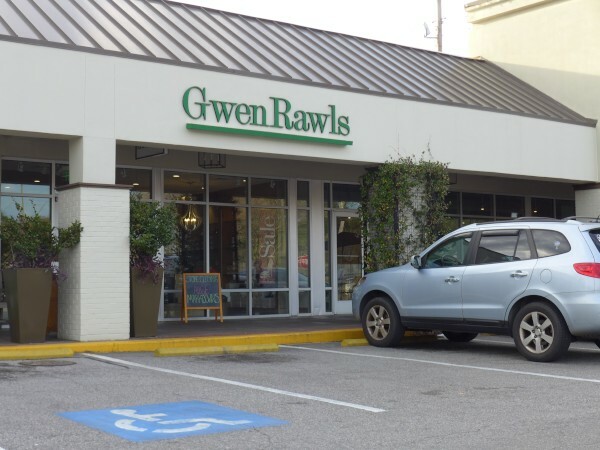 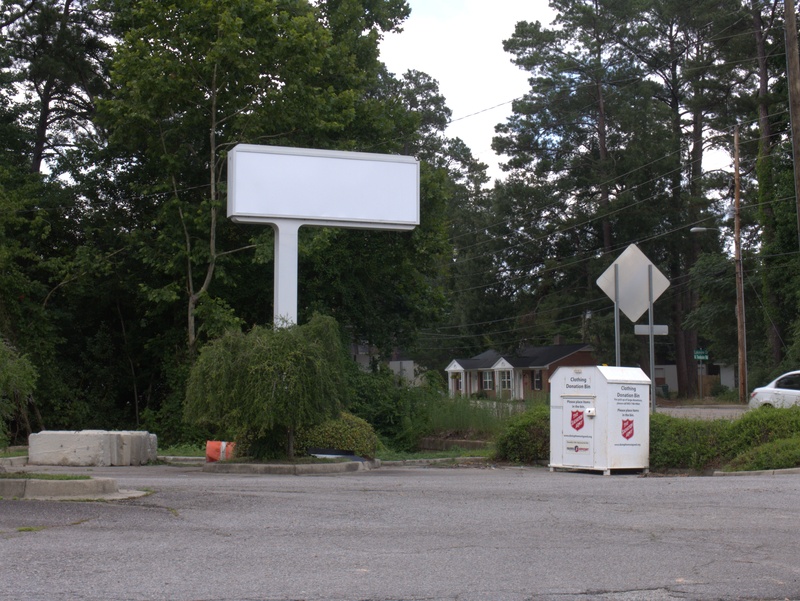 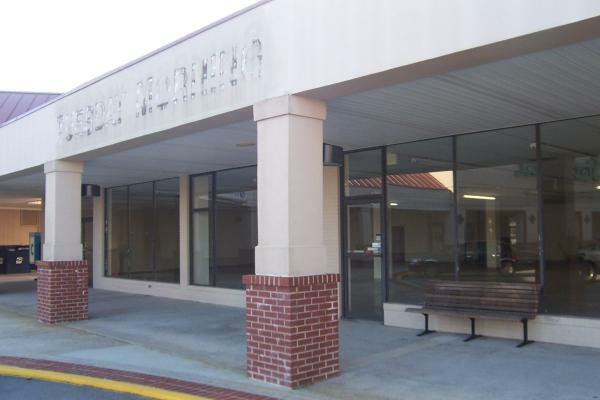 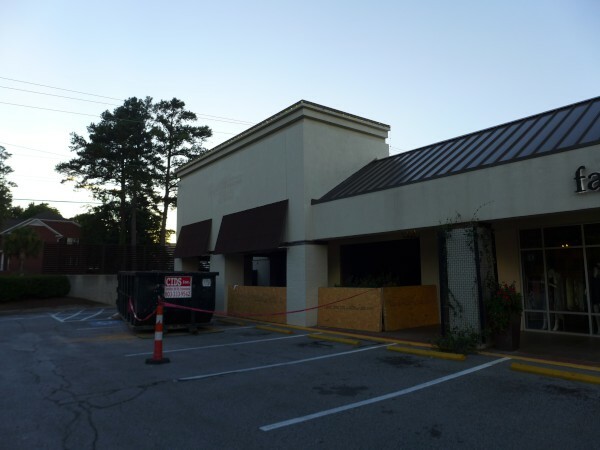 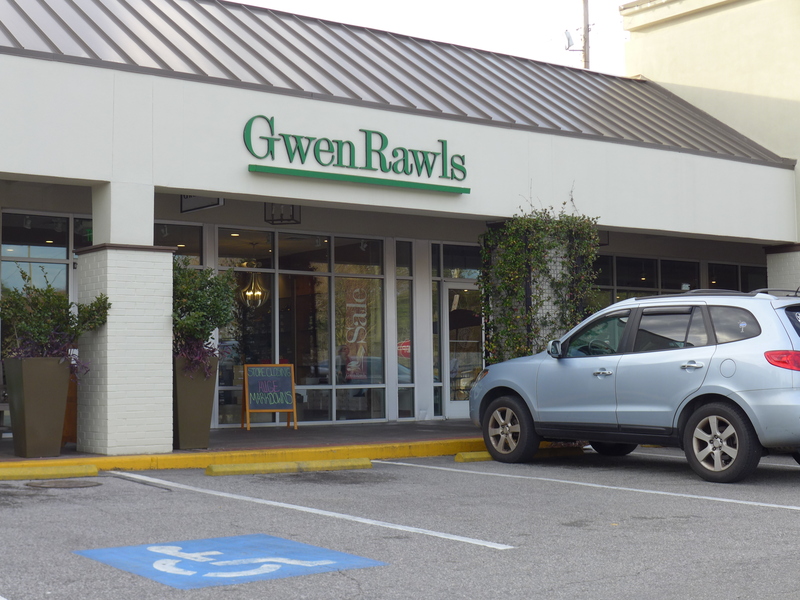 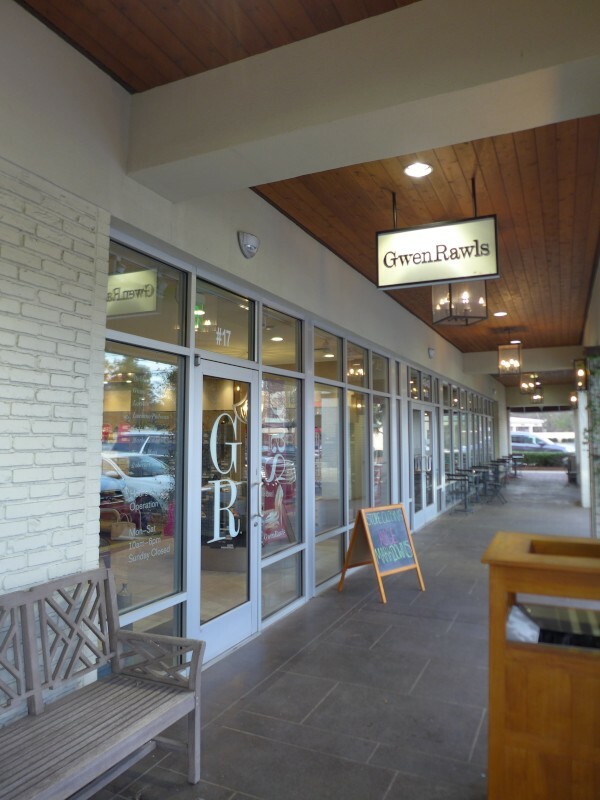 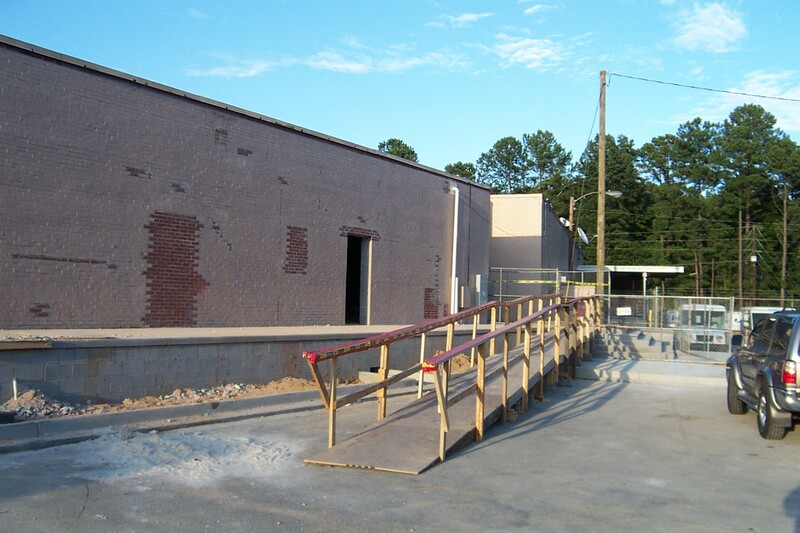 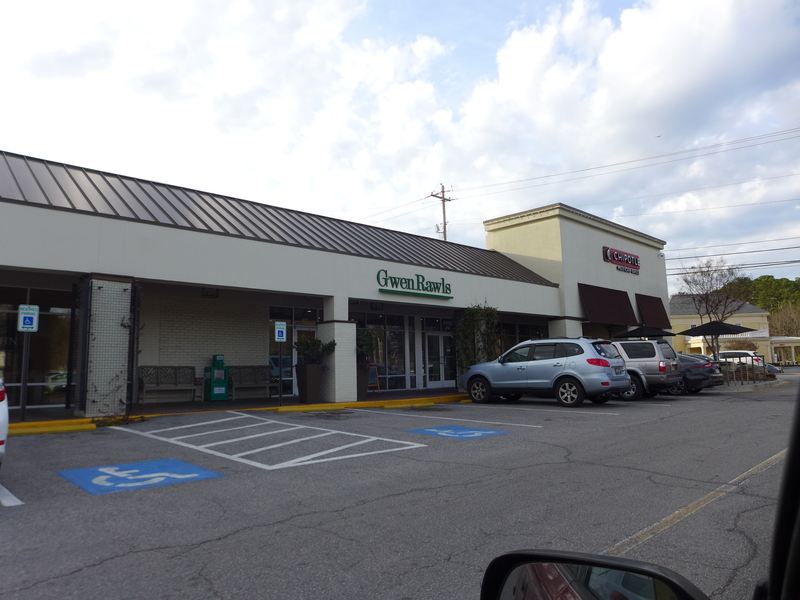 According to The State, today was the last day for Gwen Rawls in Trenholm Plaza. 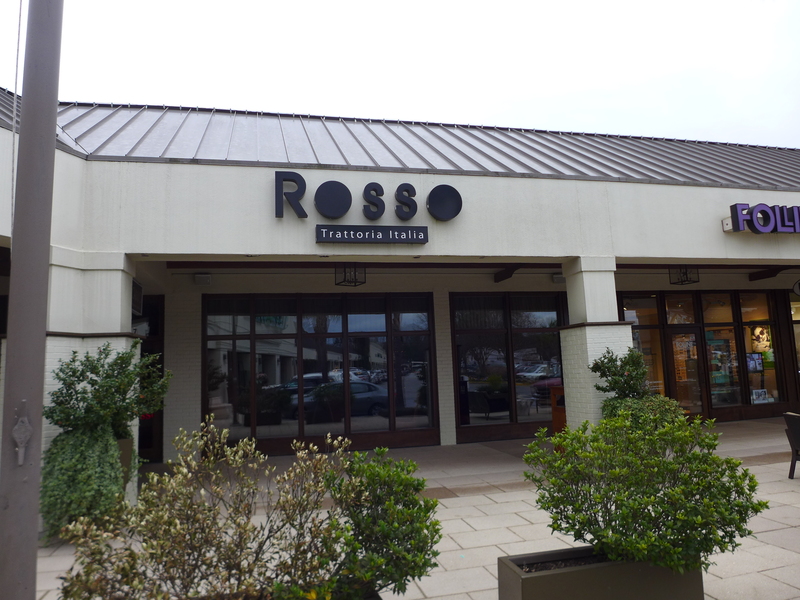 Not being a woman or in need of Italian shoes, I was only vaguely aware of this place, but it is in the same wing of the plaza that 32 Degrees was (though about as far away from Rosso as it is possible to get). 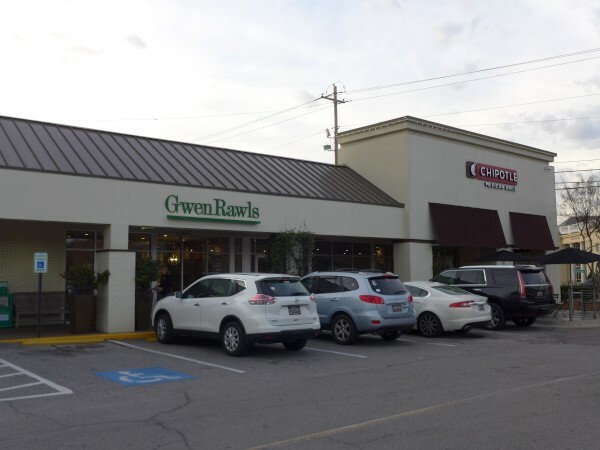 It does seem odd to have three storefronts close fairly close together in time like that, but on the other hand, plaza management continues to bring in new businesses like BLD Diner. 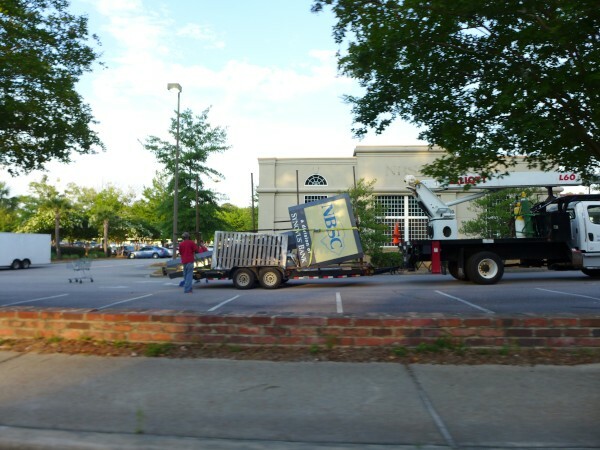 We'll have to see what happens. 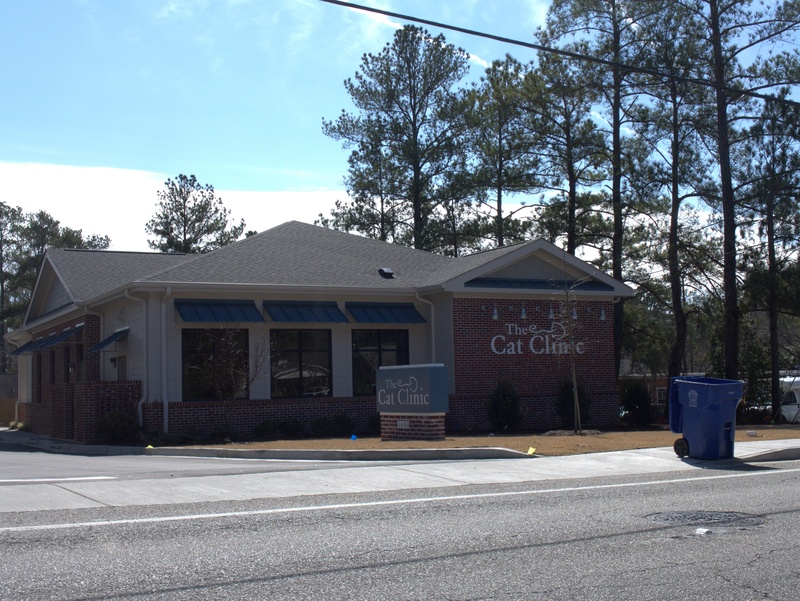 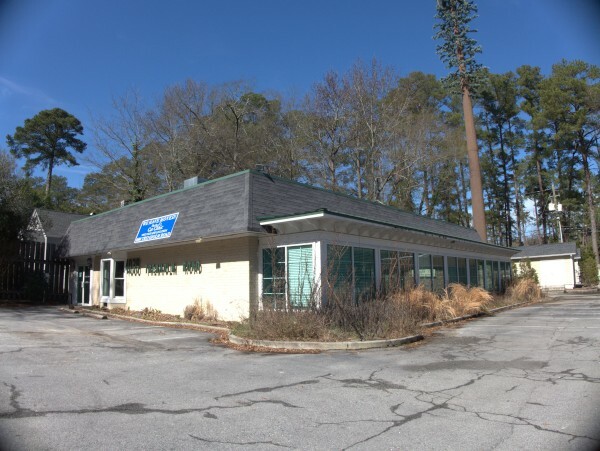 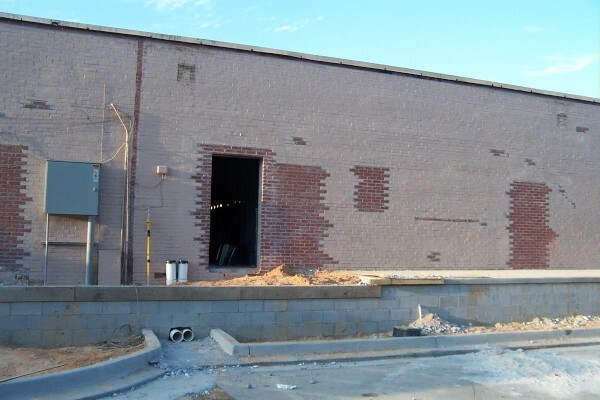 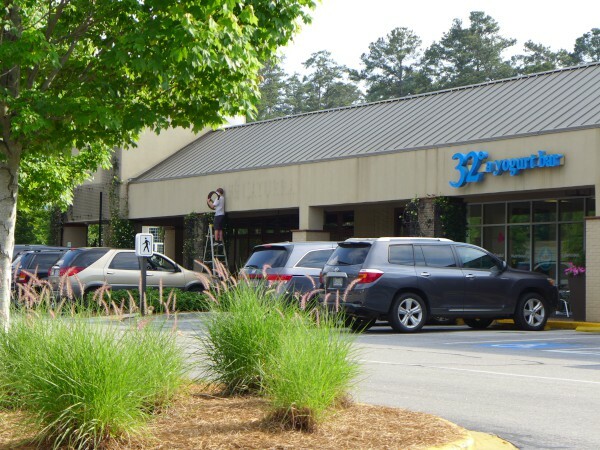 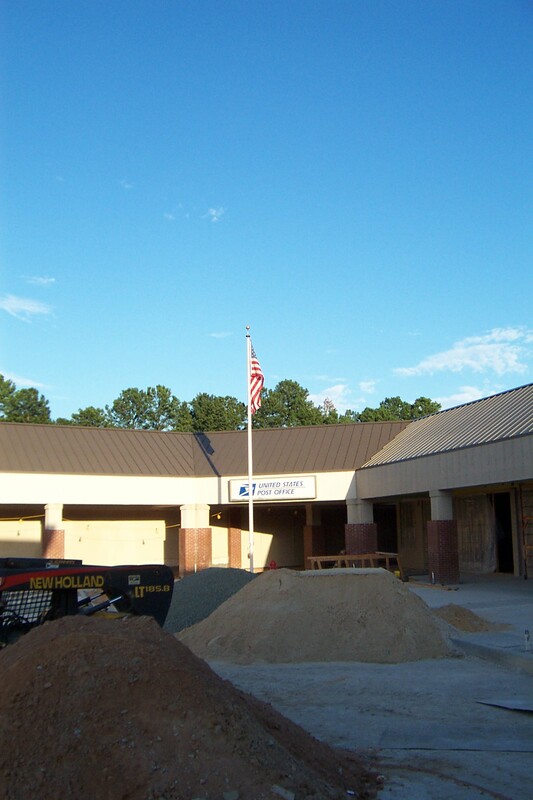 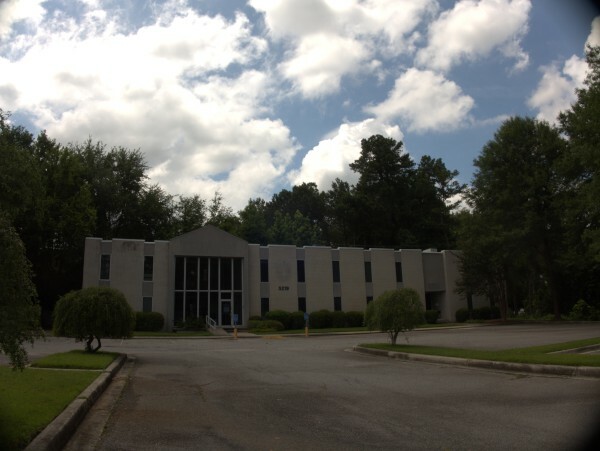 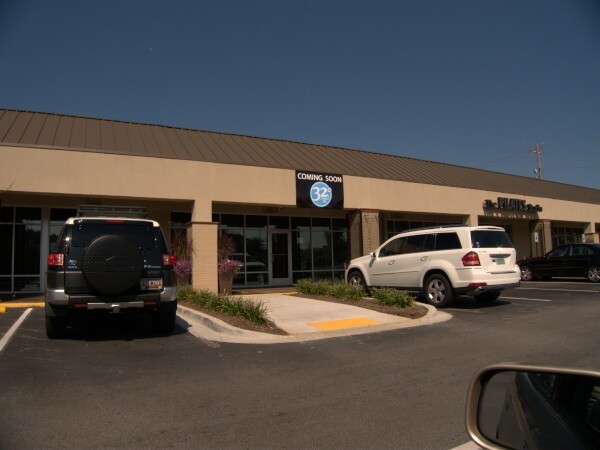 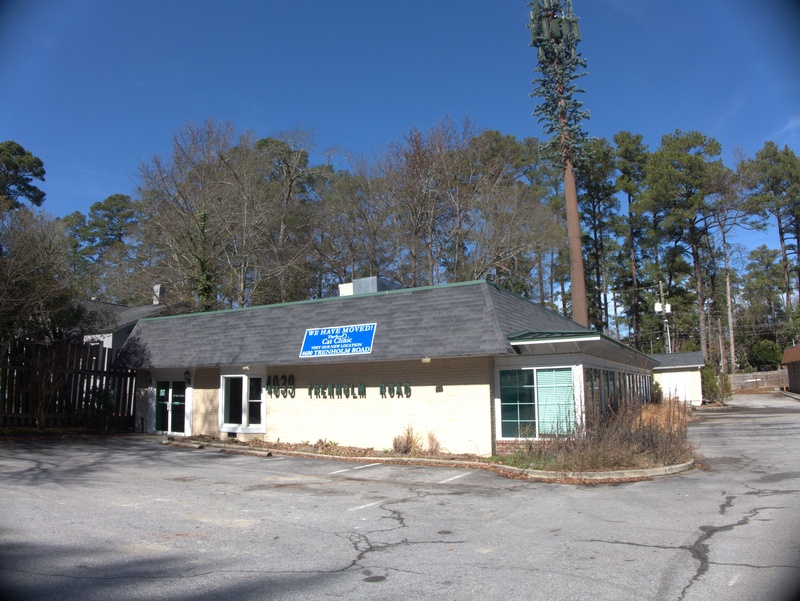 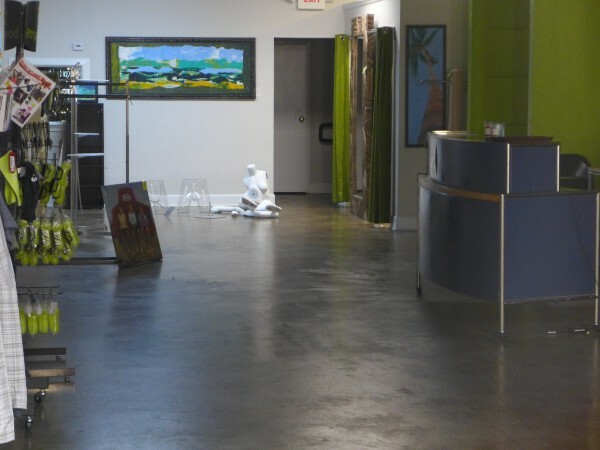 The Cat Clinic veterinarian's office has moved from 4039 Trenholm Road (where it followed a coffee house) to 4600 Trenholm road, next door to Lollipop Lane daycare. 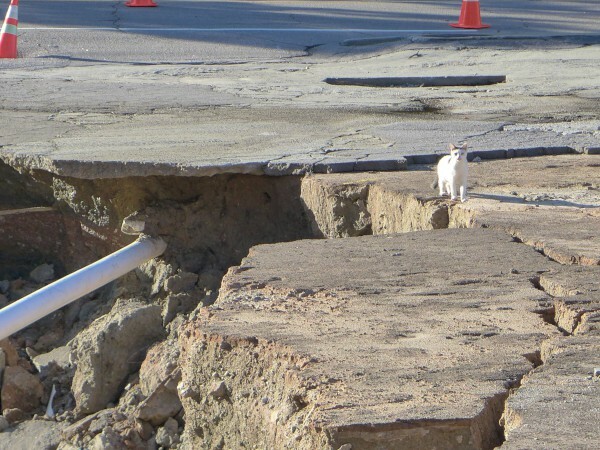 No word on whether it moved on On Little Cat Feet. Well, this is a shame. 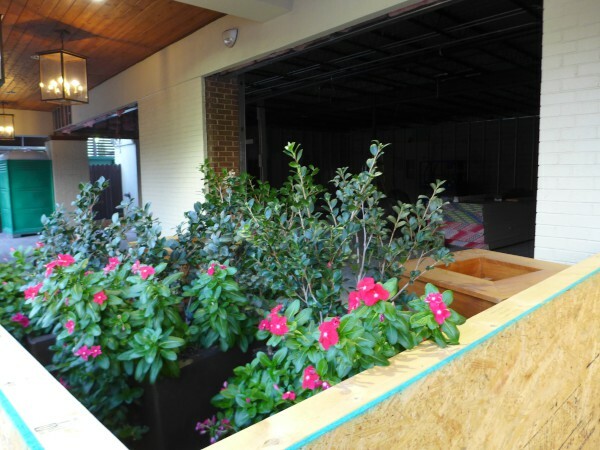 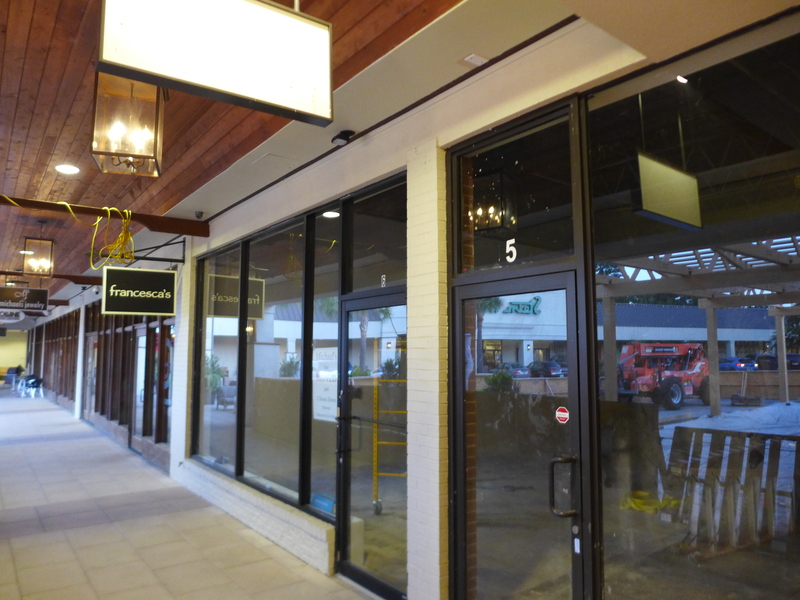 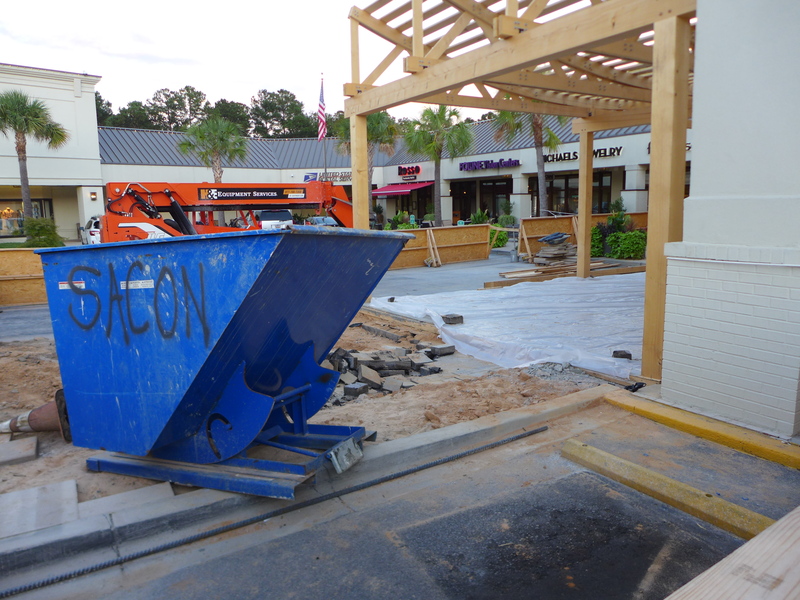 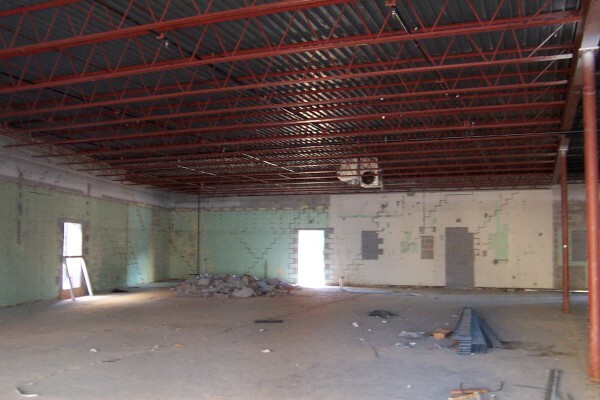 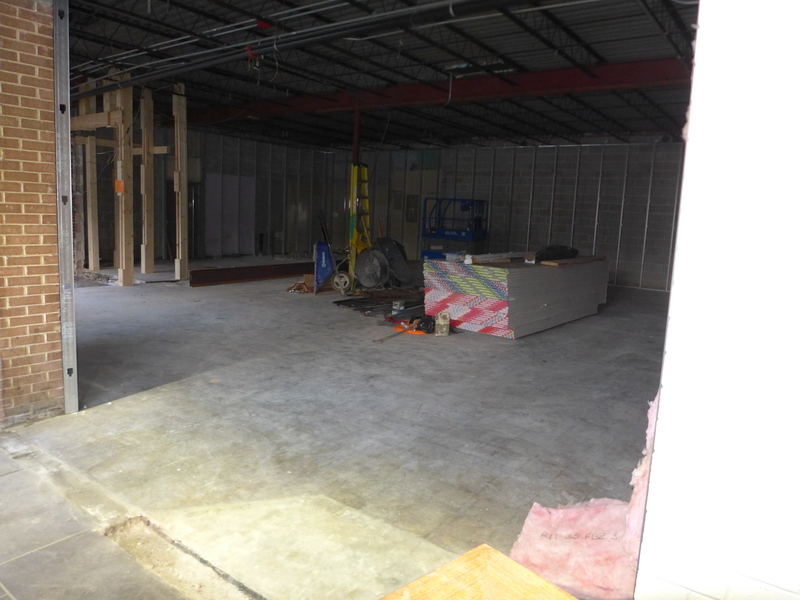 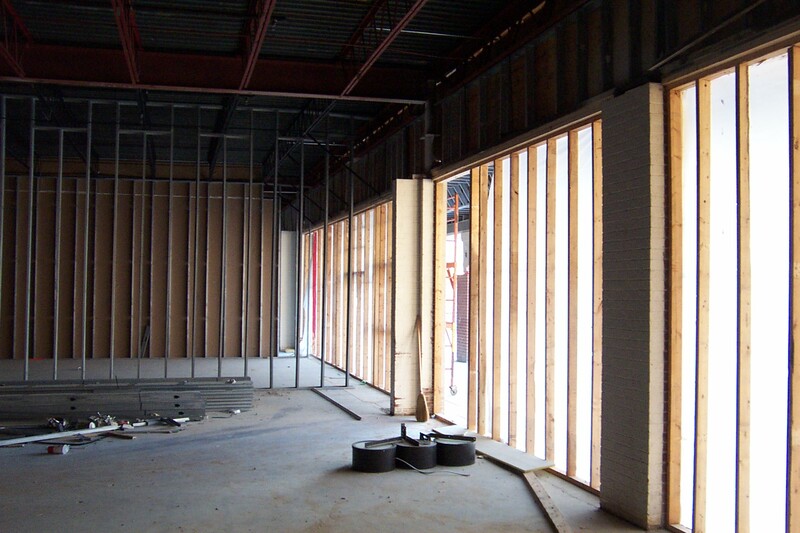 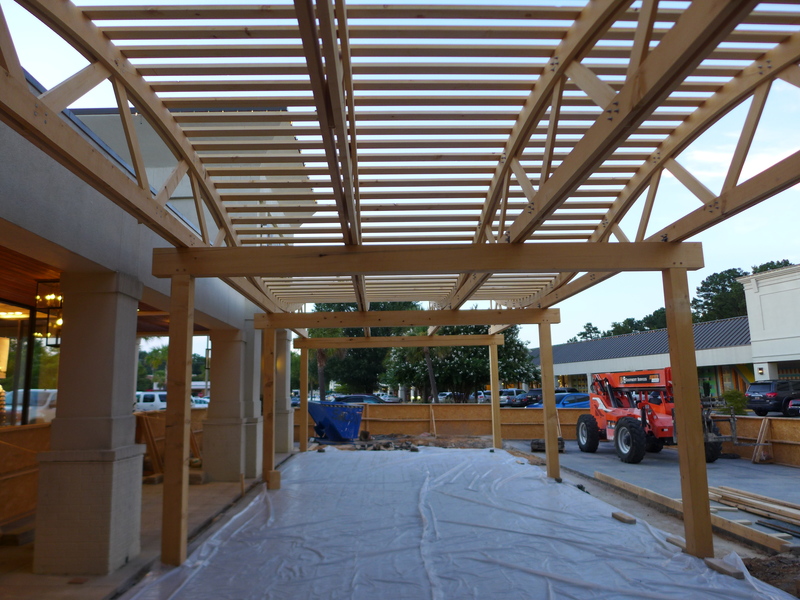 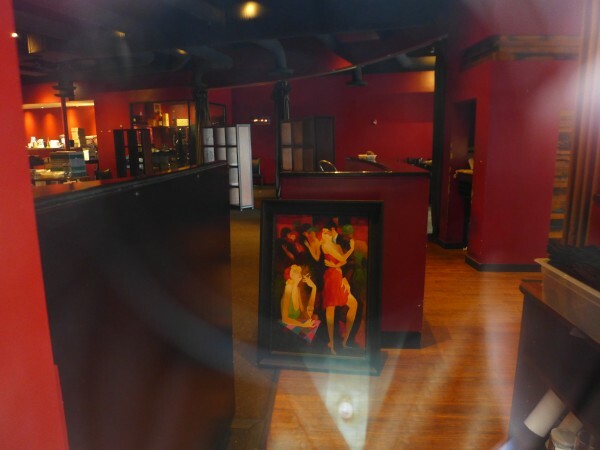 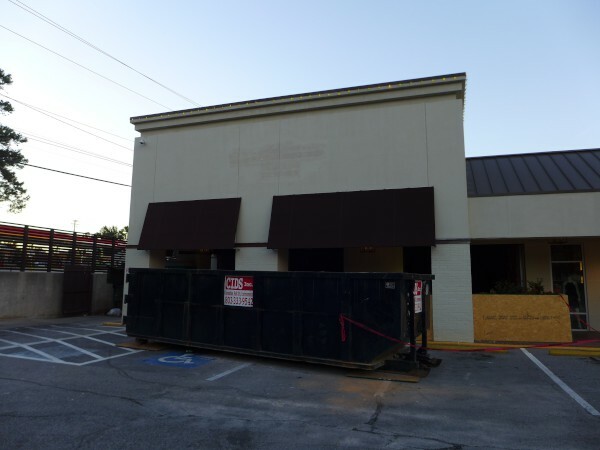 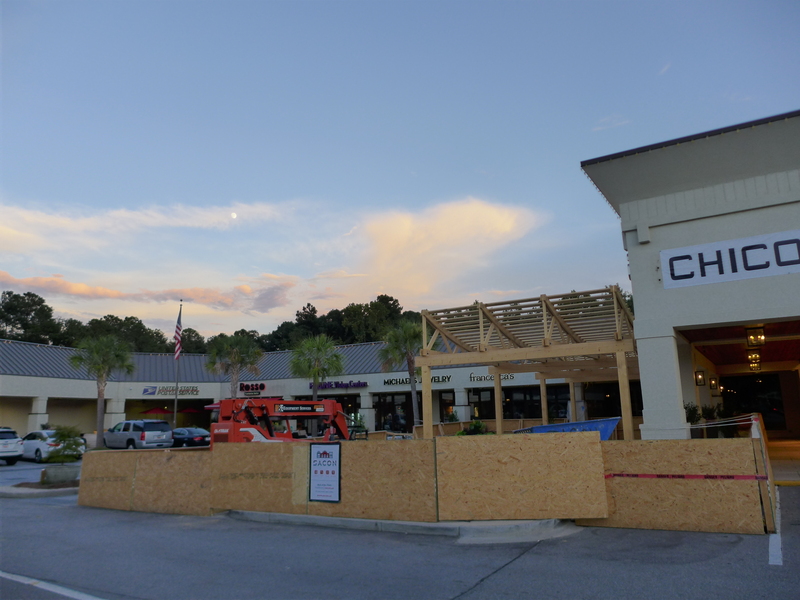 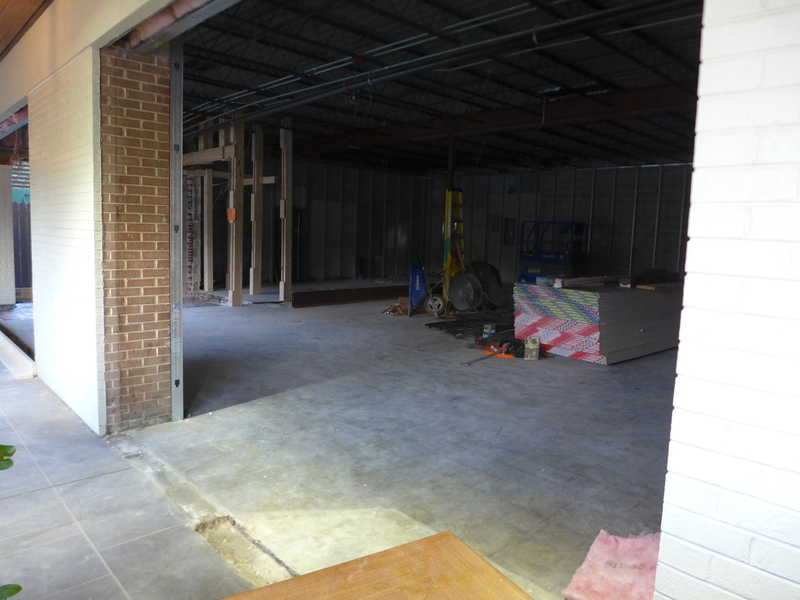 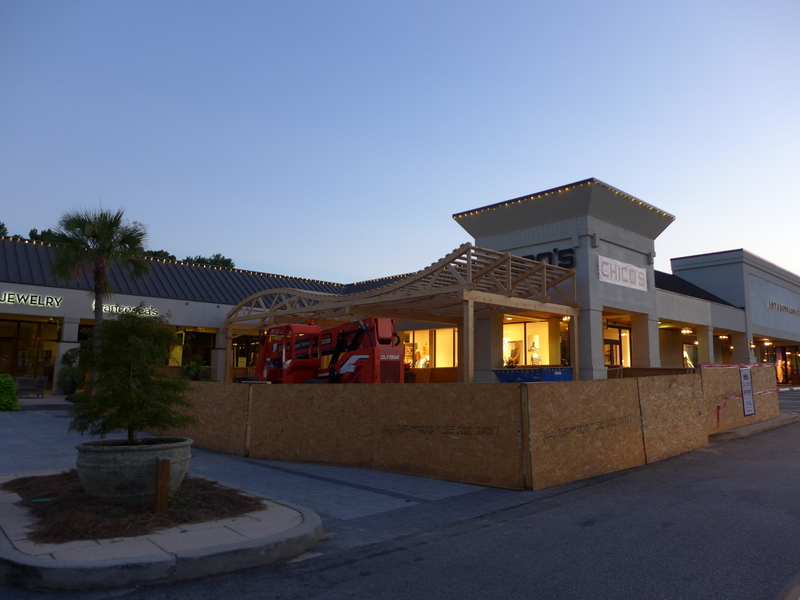 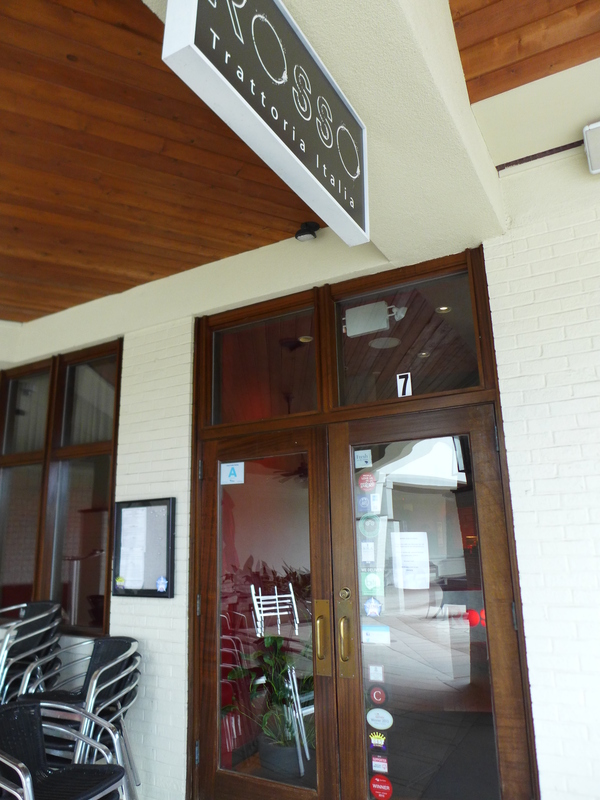 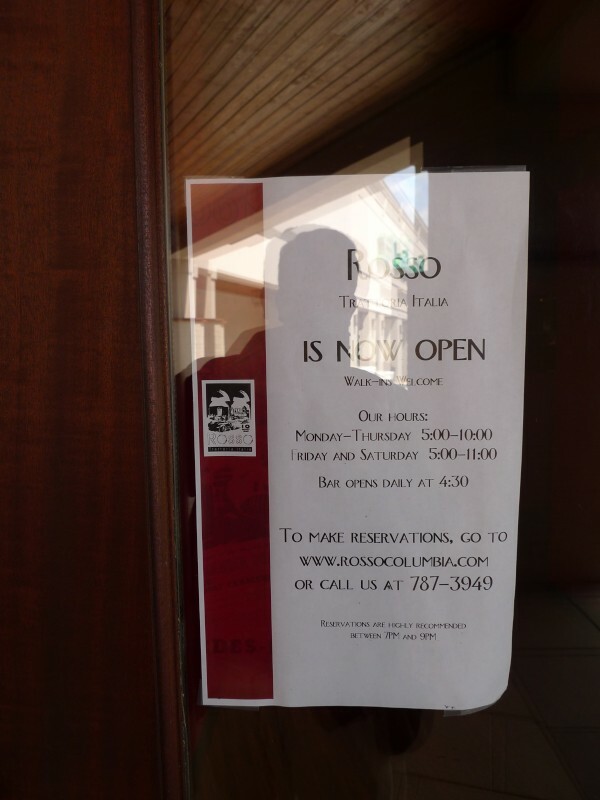 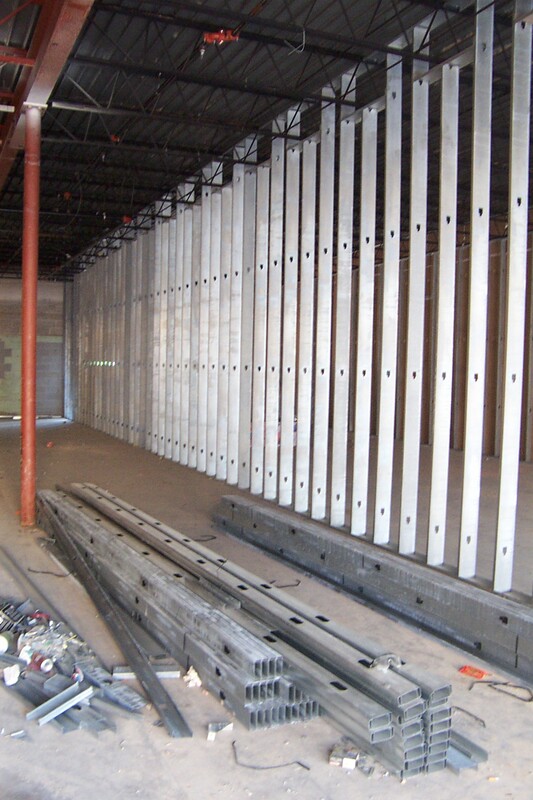 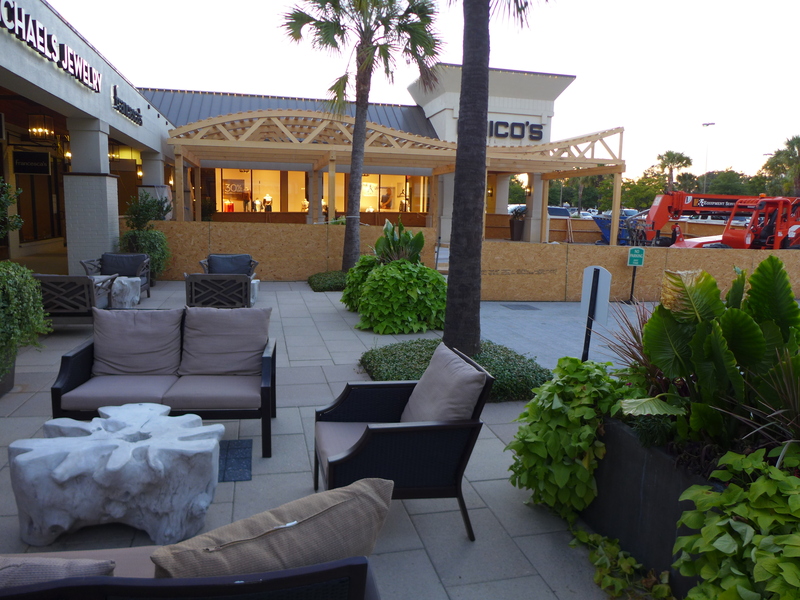 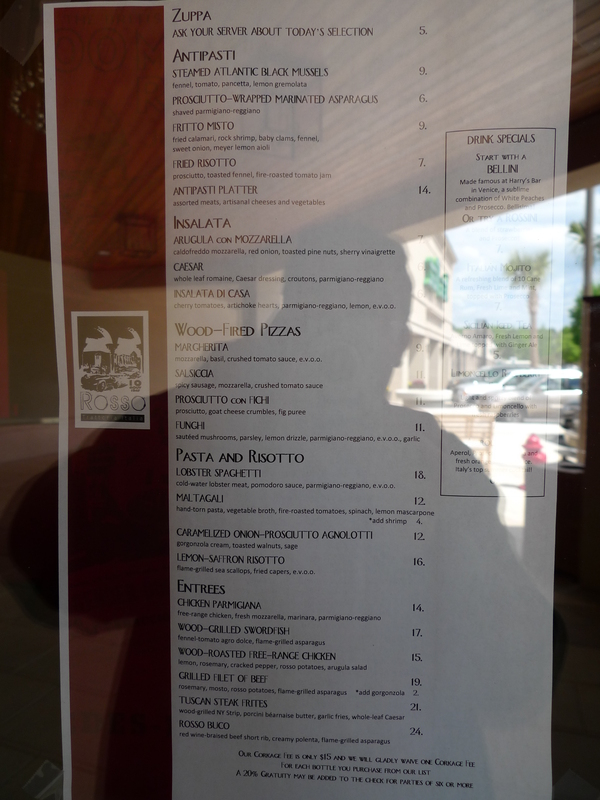 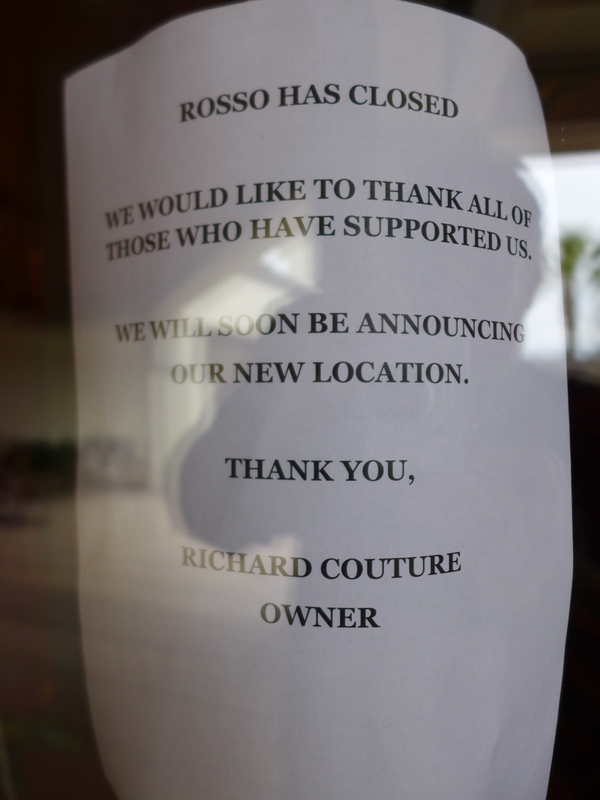 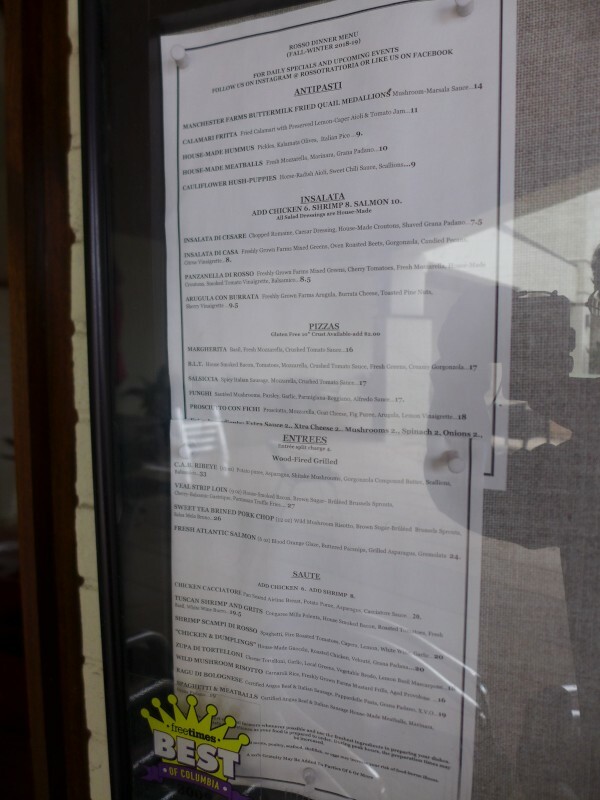 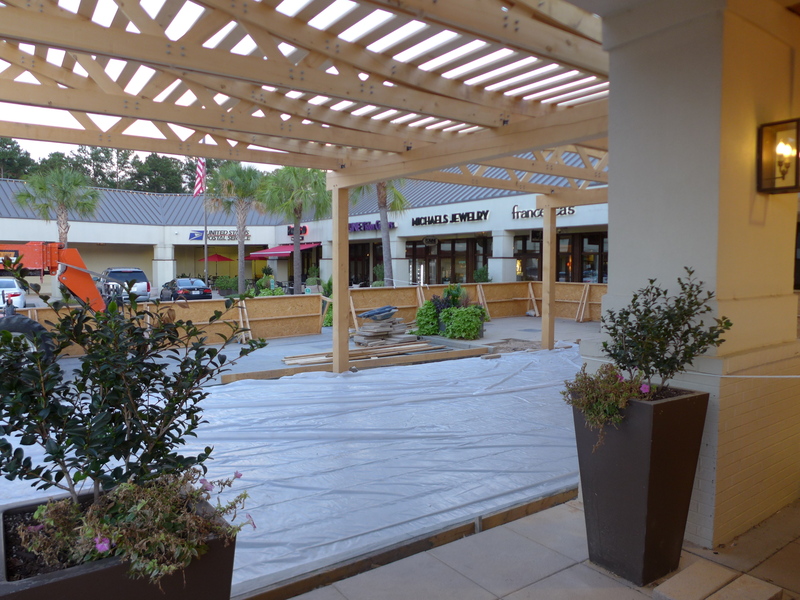 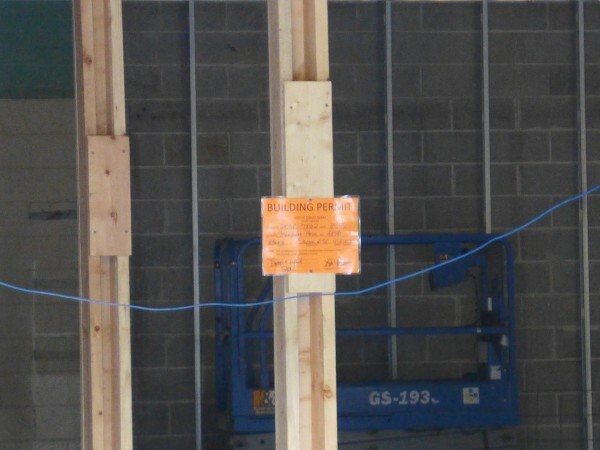 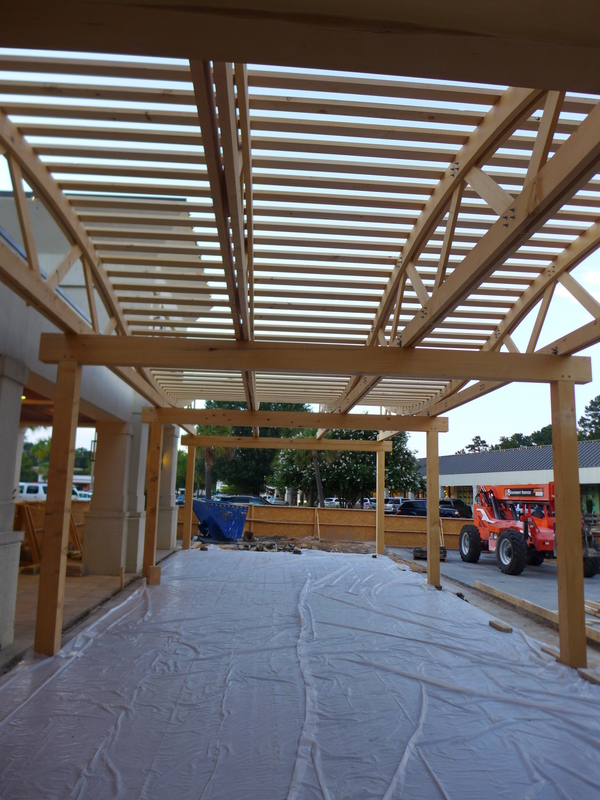 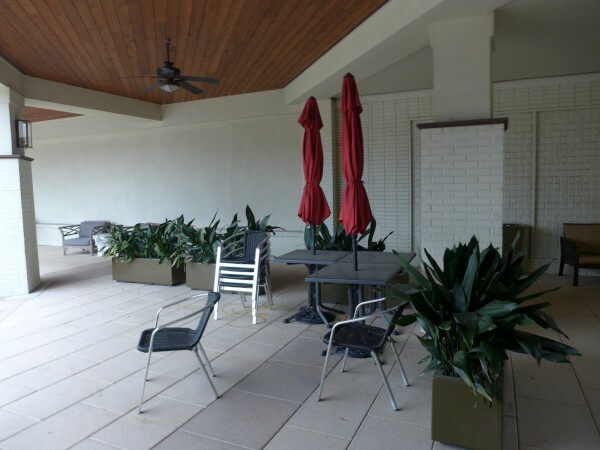 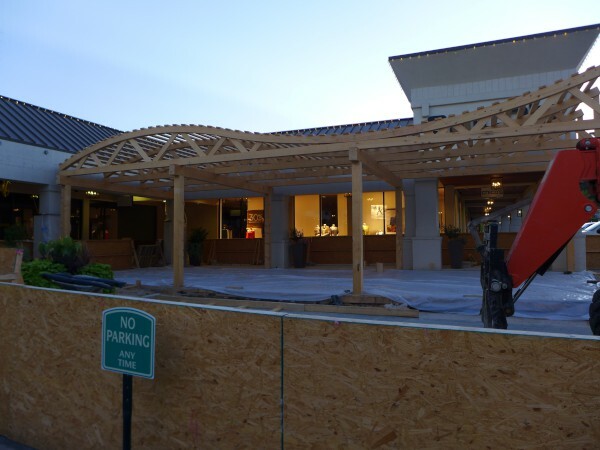 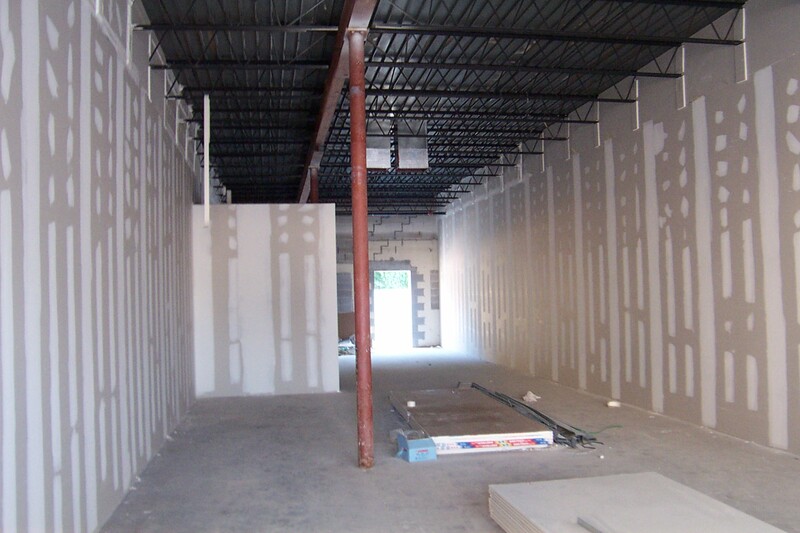 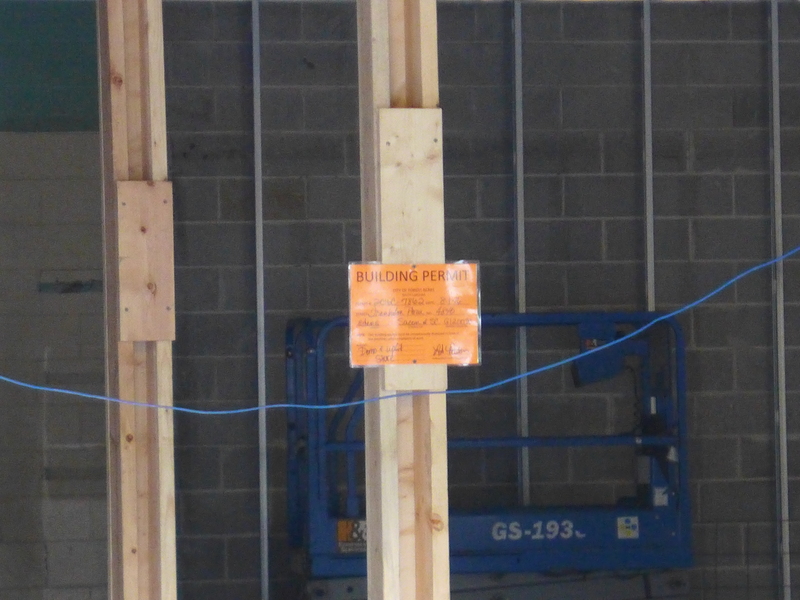 Rosso was the follow-on operation in this corner of Trenholm Plaza to Tuesday Morning, and as you can see from the shots above, the space was completely gutted and remodeled in preparation for Rosso's arrival. 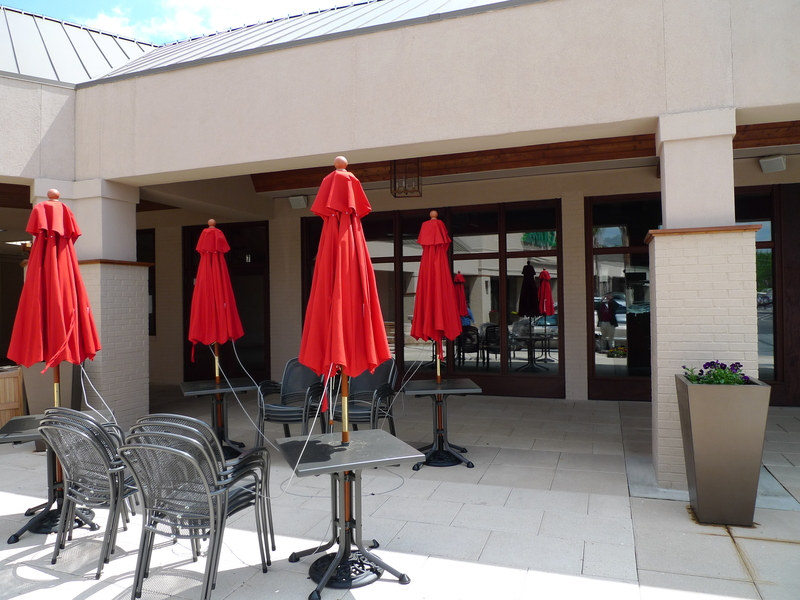 The place was a bit more upscale than I am, but over the years I liked to sit on the patio and have the Margherita Pizza (they didn't really have "normal" pizzas) while reading and watching the people go by. 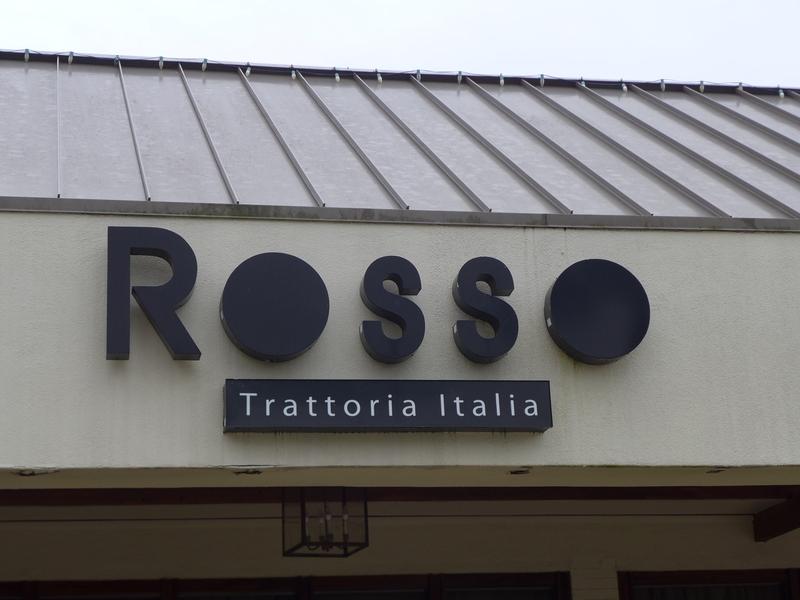 They often did have very good soups as well. If they had any weaknesses, it was that the bread was often some sort of rolls rather than something fresh baked and that they liked to monkey around with the Creme Brulee: No I don't want raspberry lemon-peel Creme Brulee or whatever, I want Creme Brulee Creme Brulee. The place sold a few years ago, and went slightly more upscale with individual cloth towels in the bathroom. 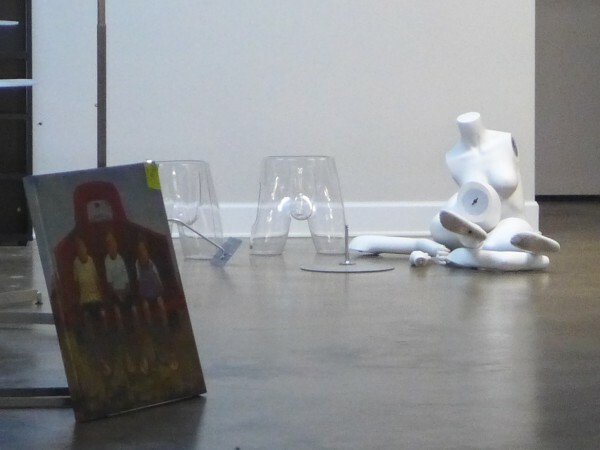 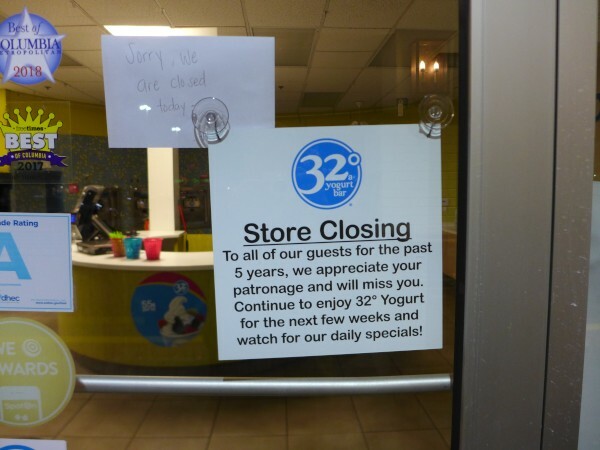 At that point, it also exhibited one of the warning signs, when the hours were changed to a significantly earlier closing. 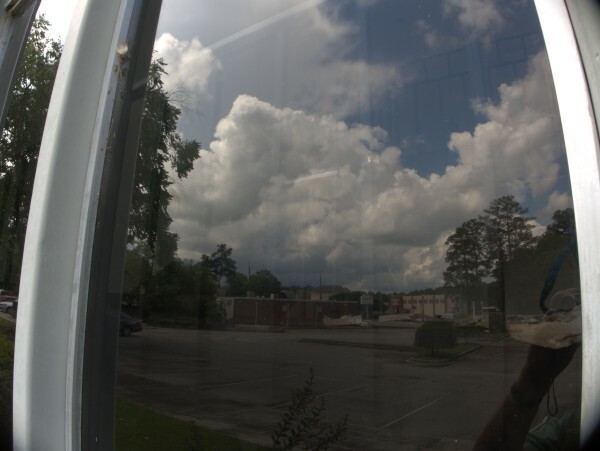 After that, I was rarely able to make it any more though I was hoping I would get a chance to revisit sometime during the Spring. 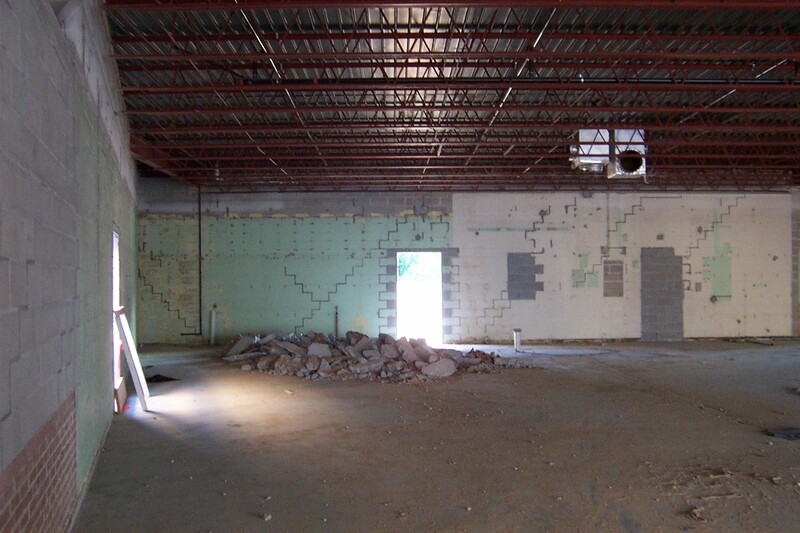 Hopefully they will find a new spot. 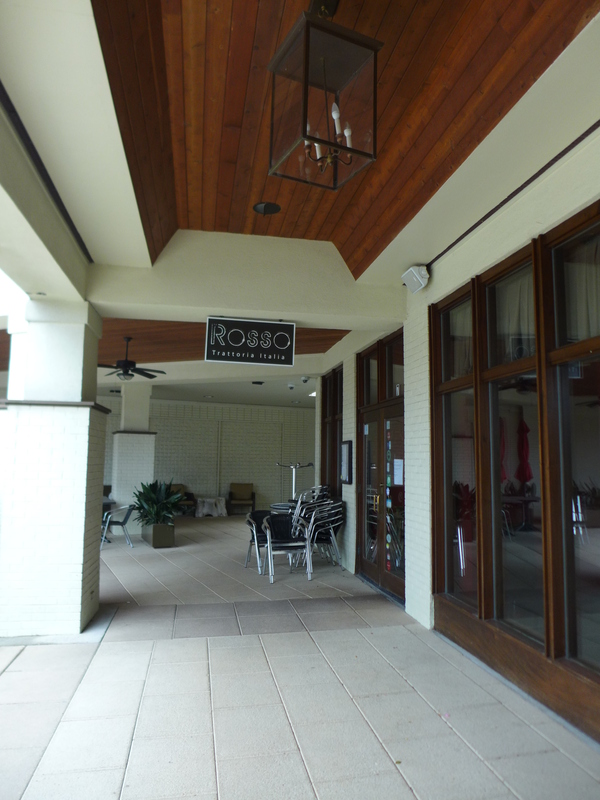 There's a little confusion on the name of this place in Trenholm Plaza. First of all, it is clear that the actual name of the place includes a degree sign as in 32 °. 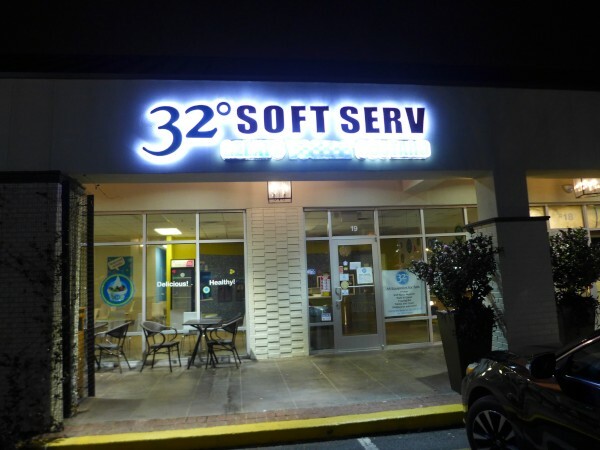 Second the current signage calls the place 32 ° Soft Serv while the original signage (and current posted closing note) calls it 32 ° a Yogurt Bar. 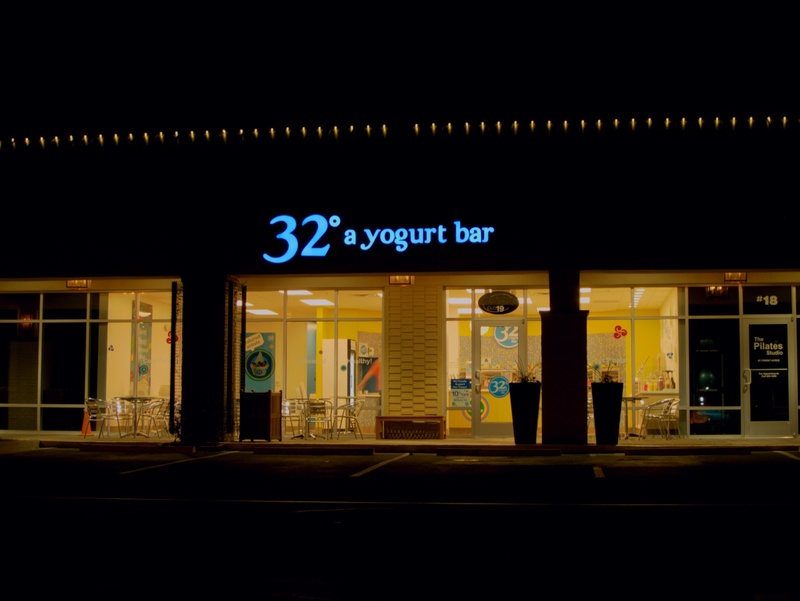 Also, the current marquee (which is not really readable in the night shot above) also calls out custard in a subheading, which I wish I had noticed before they were slated to close. 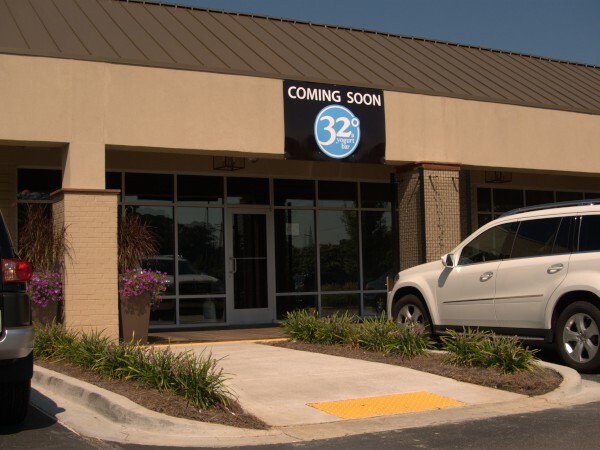 At any rate, 32 °, which opened in 2010, replaced Hair Cuttery which closed at the end of 2008. 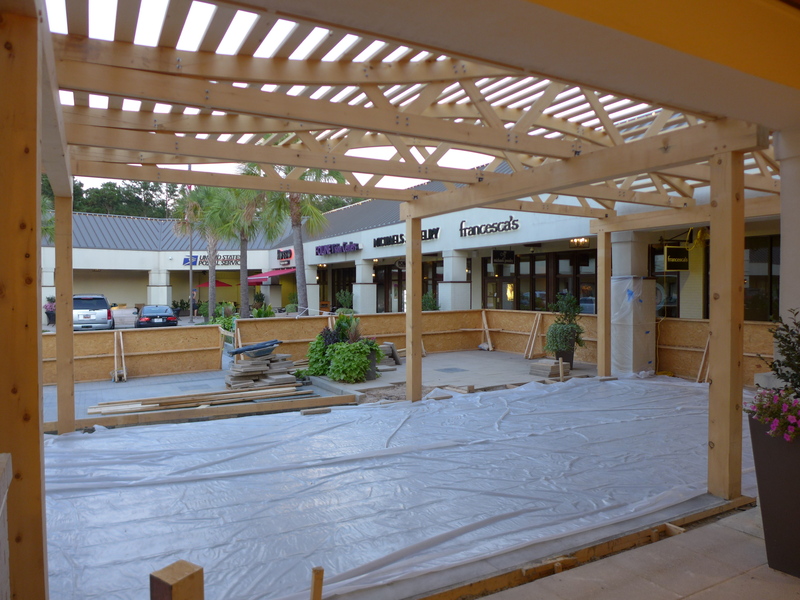 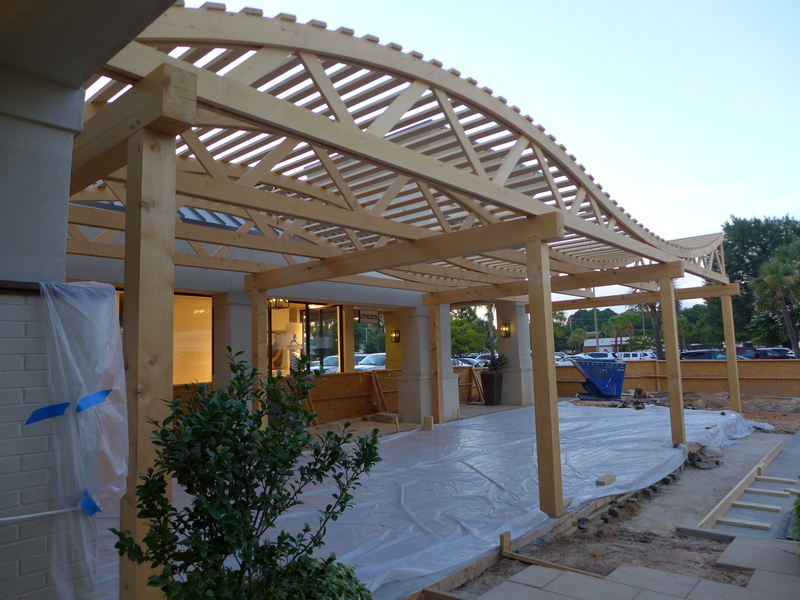 I believe I noticed that the adjoining storefront was papered over, though for some reason I did not get a picture, so perhaps the plaza has something new and larger in the works for this wing. 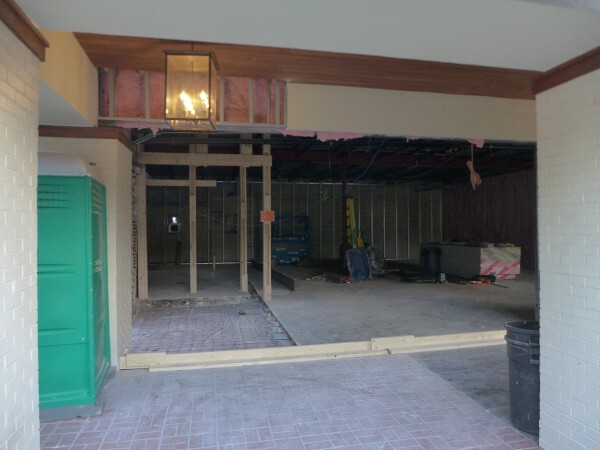 Update 4 February 2019: The Free Times puts the actual closing date as 27 January, so I have updated the post title from "February 2019" to reflect that. Hmm. 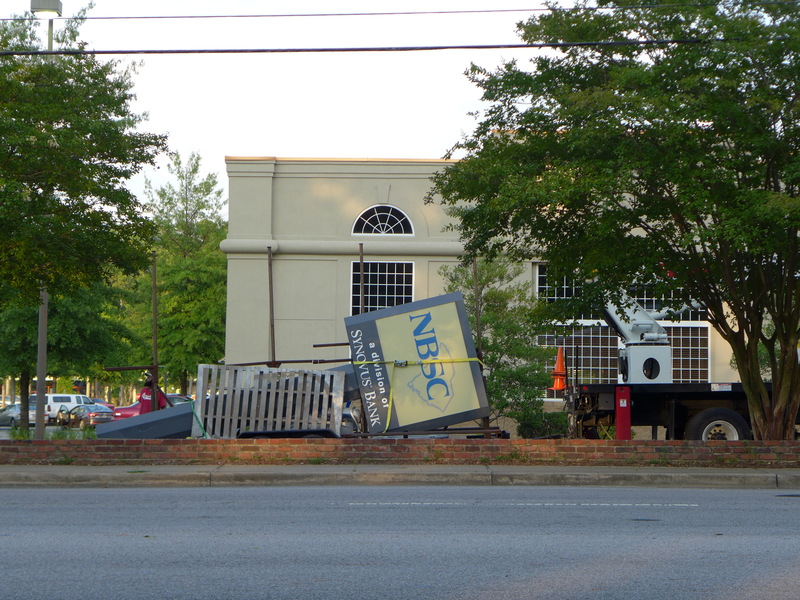 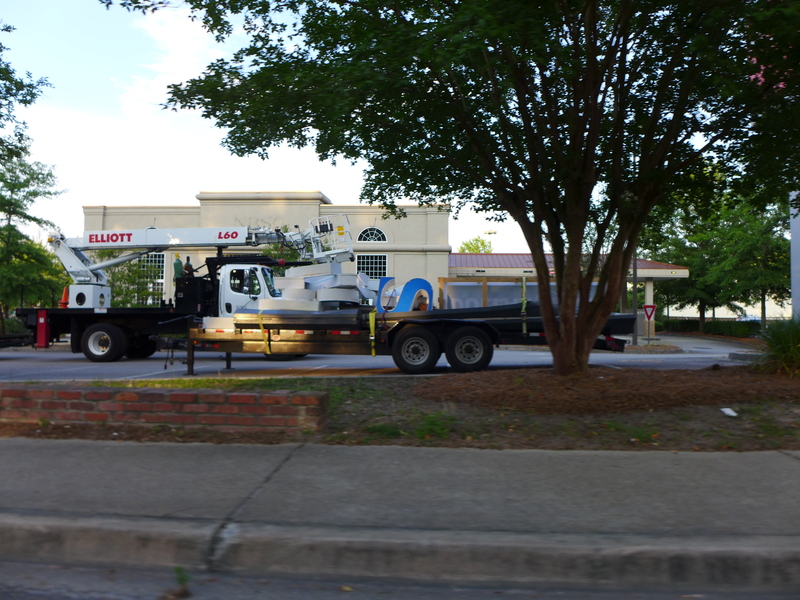 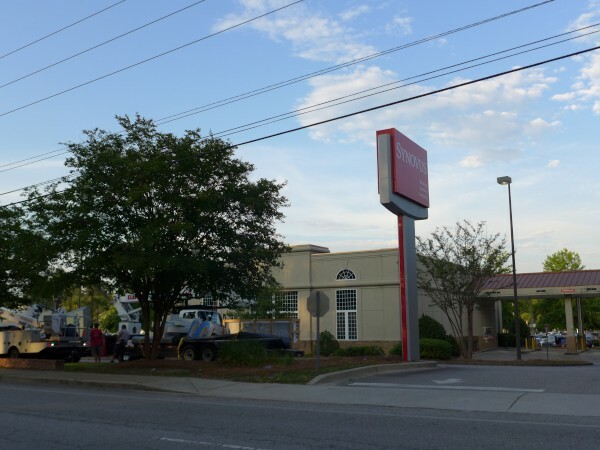 When I saw the signs being changed out at this NBSC driving by Trenholm Plaza today, I assumed that the bank had been bought out recently and I just had not heard of it (I don't bank there, so in general, I wouldn't). 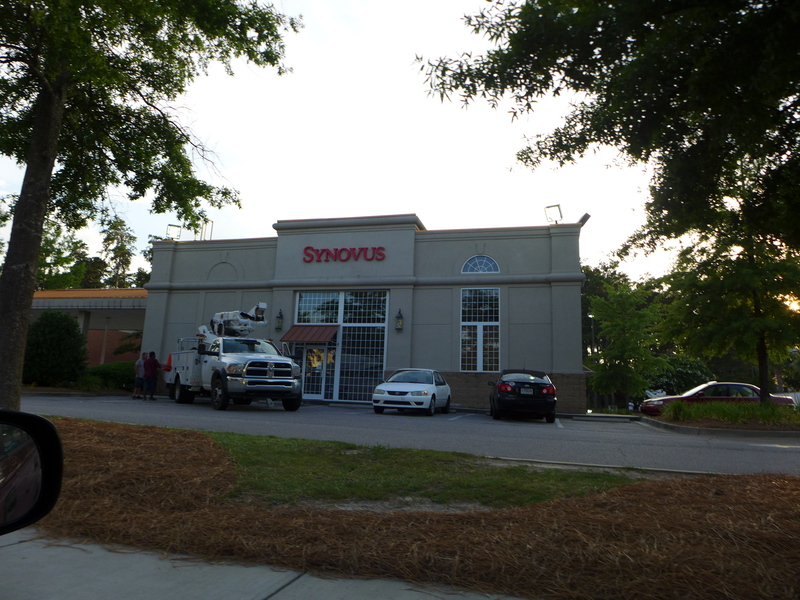 In early 2010, Synovus consolidated their thirty separate state charters into one Georgia state banking charter and is transitioning to operate as a more centralized single bank. I guess they are doing South Carolina now. UPDATE 21 June 2018 -- Check the comments for some details, but apparently the Wikipedia info about is, at best, imcomplete. 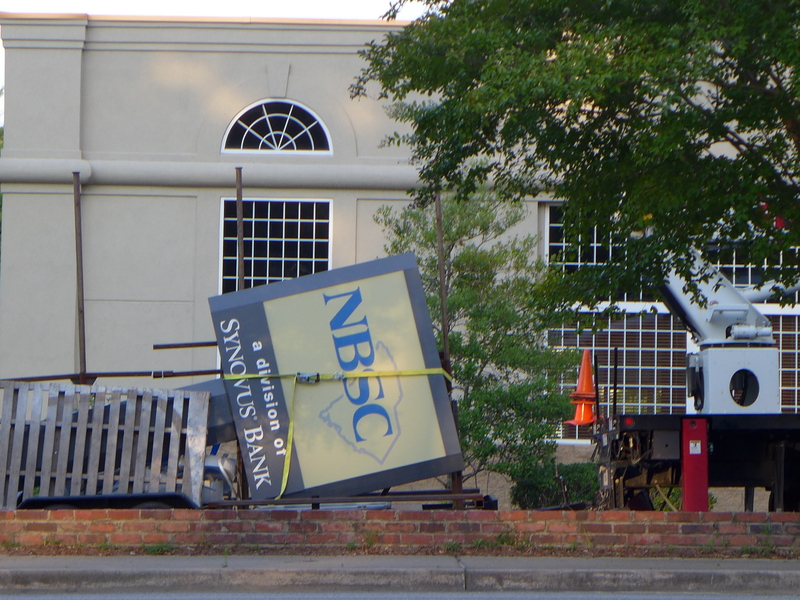 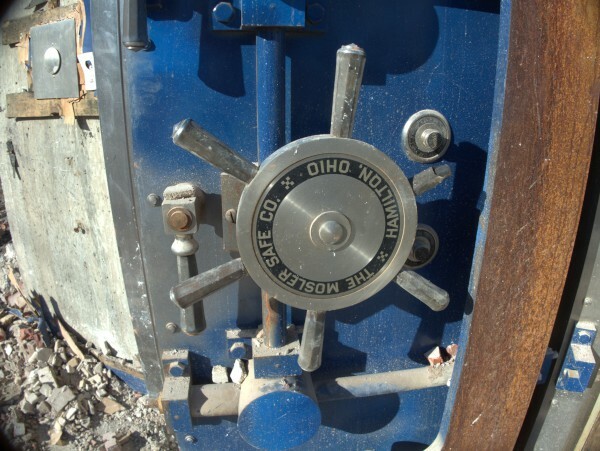 NBSC was apparently originally a local bank and not part of Synovus until (historically speaking) recently. 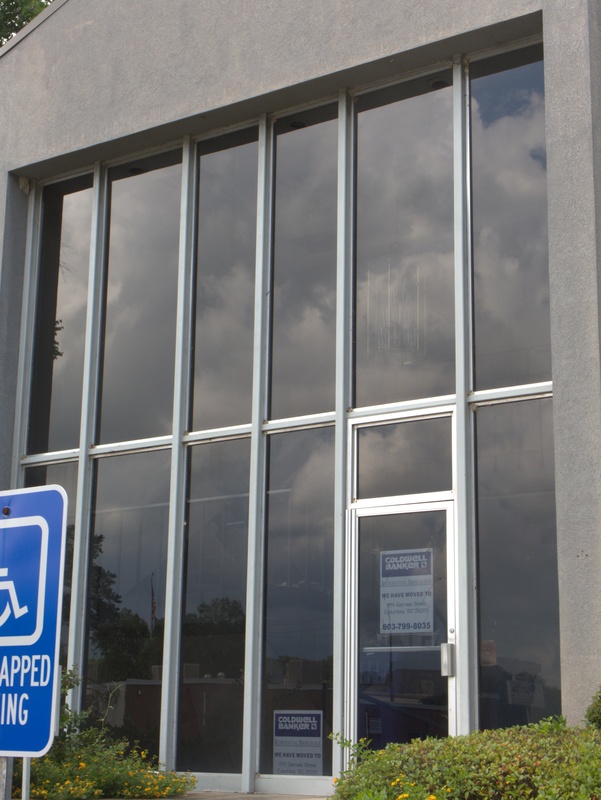 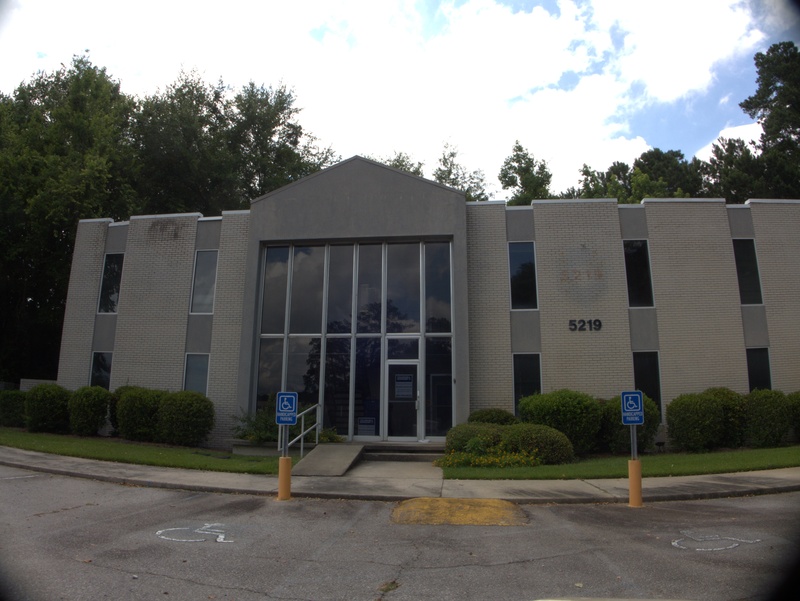 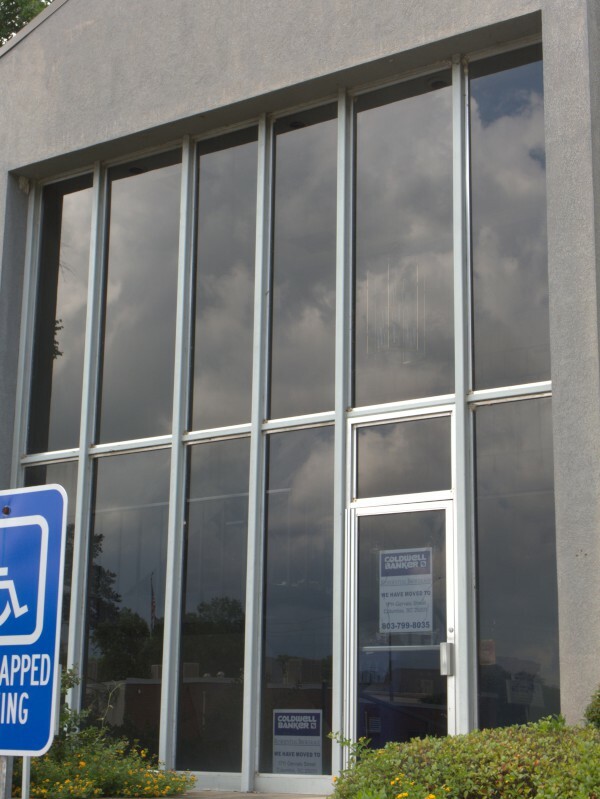 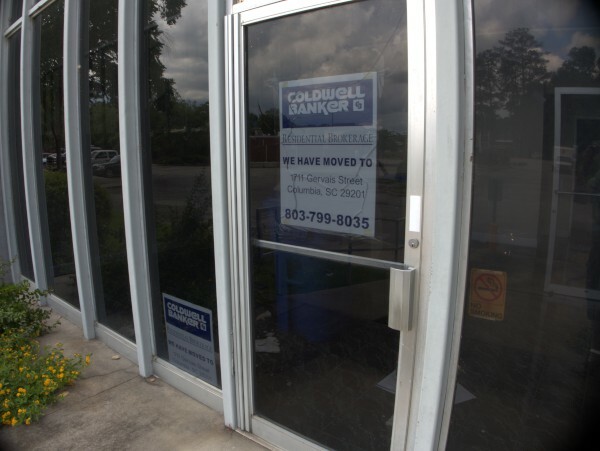 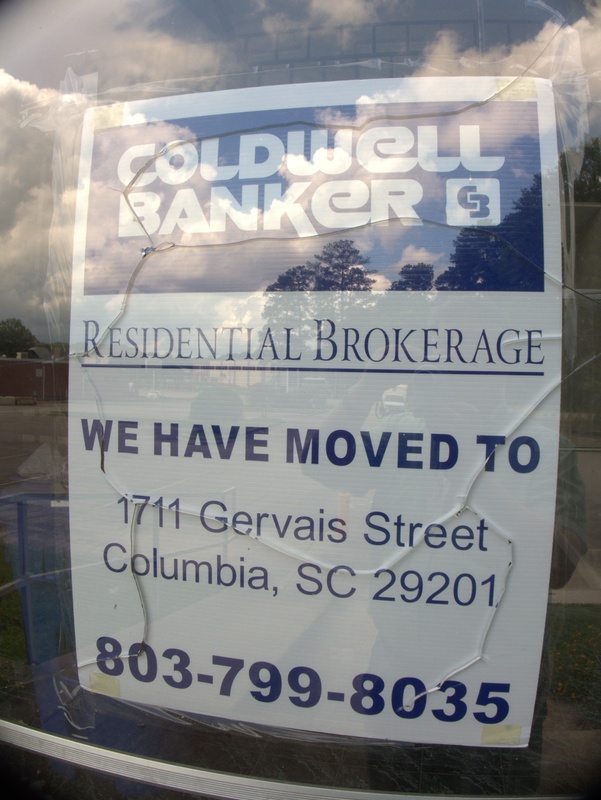 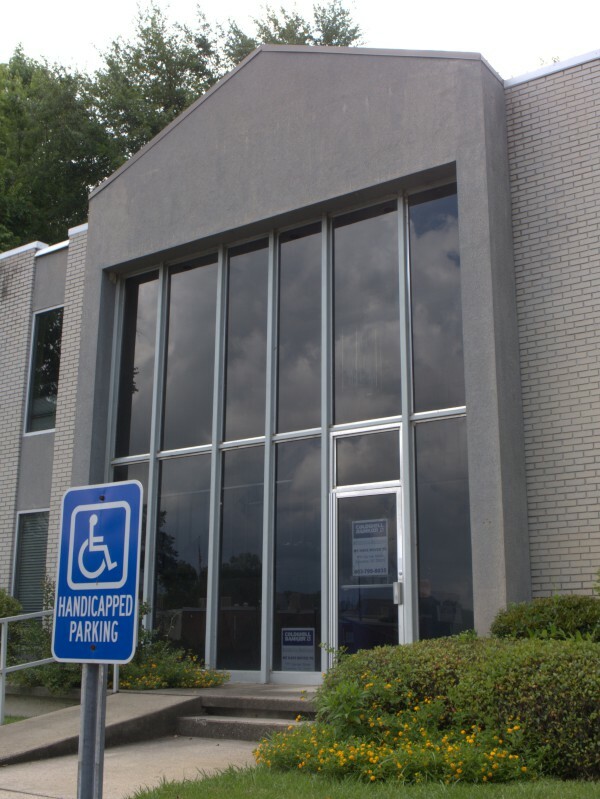 I noticed this vacant building on Trenholm a few doors down from the Forest Acres town hall a few weeks ago, but based on the unclaimed phonebook at the door step, it was at least before February 2017 that this Coldwell Banker moved to 1711 Gervais Street. It probably says something about my general powers of observation that I grew up a mile from here and have driven by the building literally thousands of times over the years, but I had no idea it was a Coldwell Banker (and whatever else it has been over the years) in the first place. 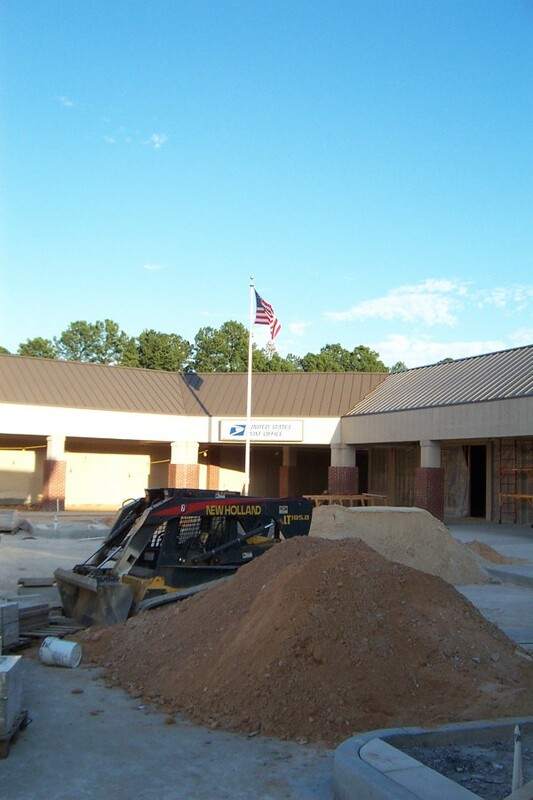 UPDATE 21 June 2017: Added Russell & Jeffcoat to the post title based on the comments. 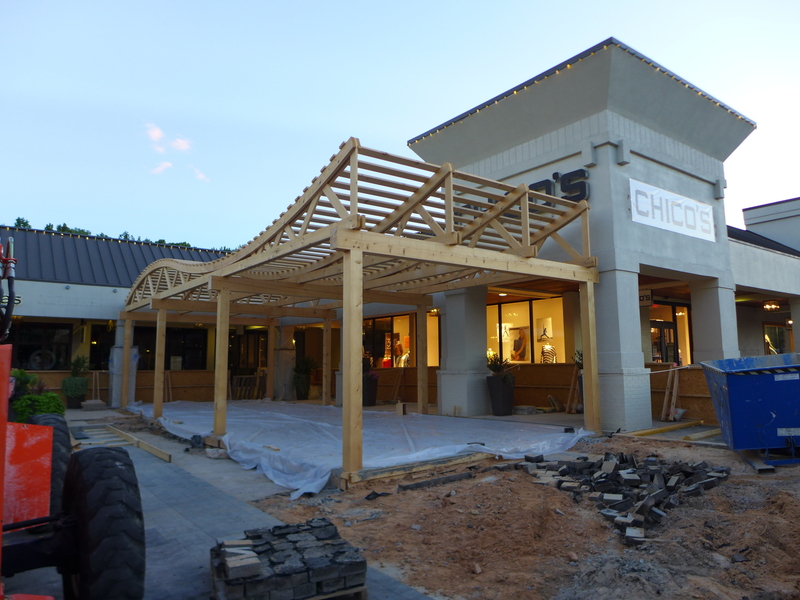 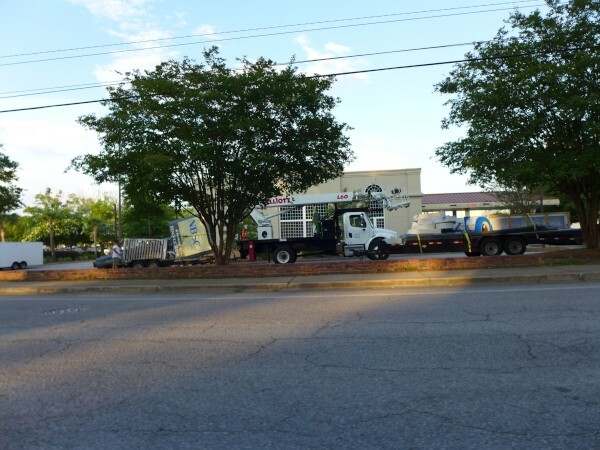 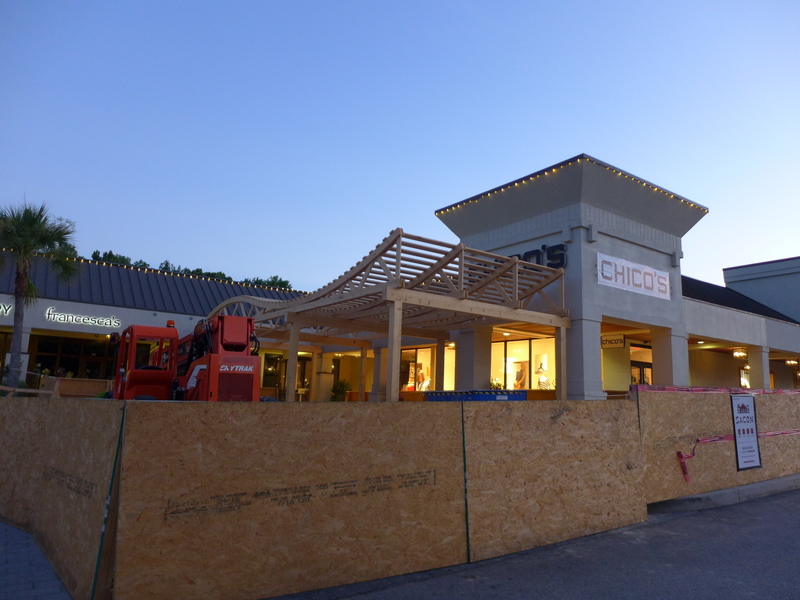 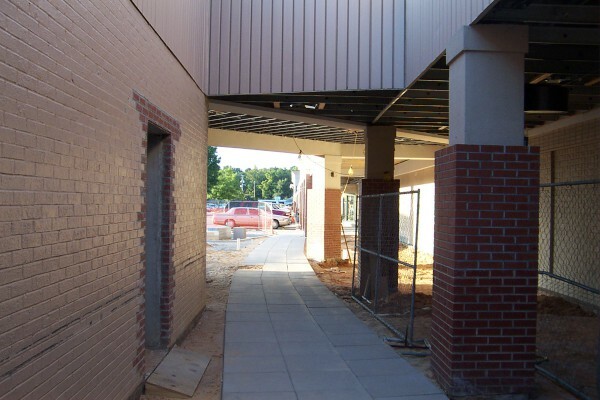 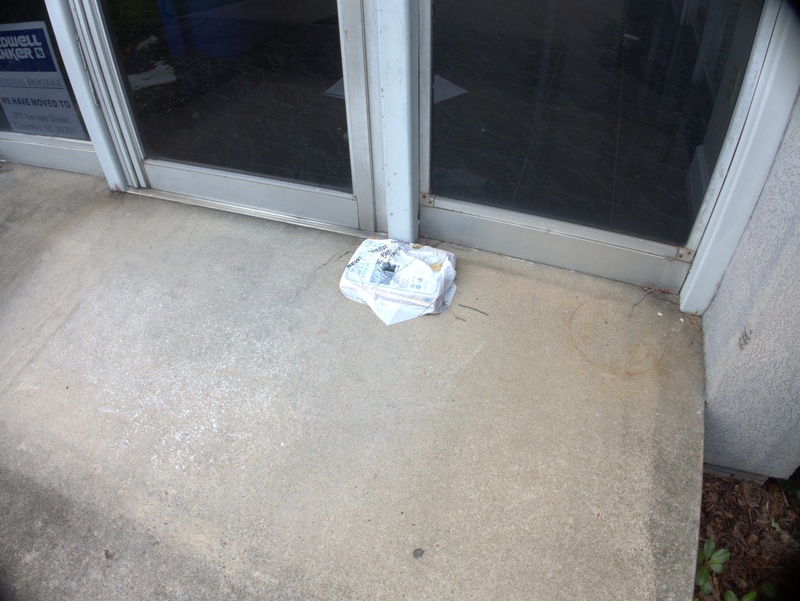 There is something going in the corner of Trenholm Plaza by Chico's. 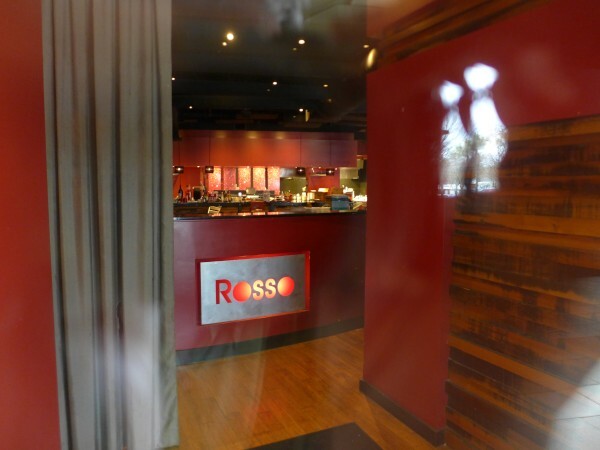 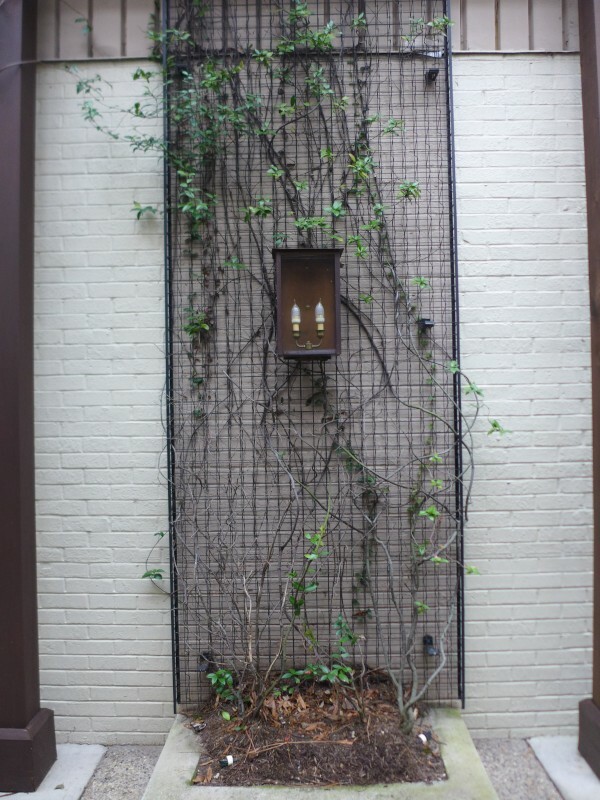 One of the waitresses at Rosso thought it might be a small garden courtyard, but nobody really seemed to know. That might be nice, but losing several more prime parking spaces in the often full lot will hurt. 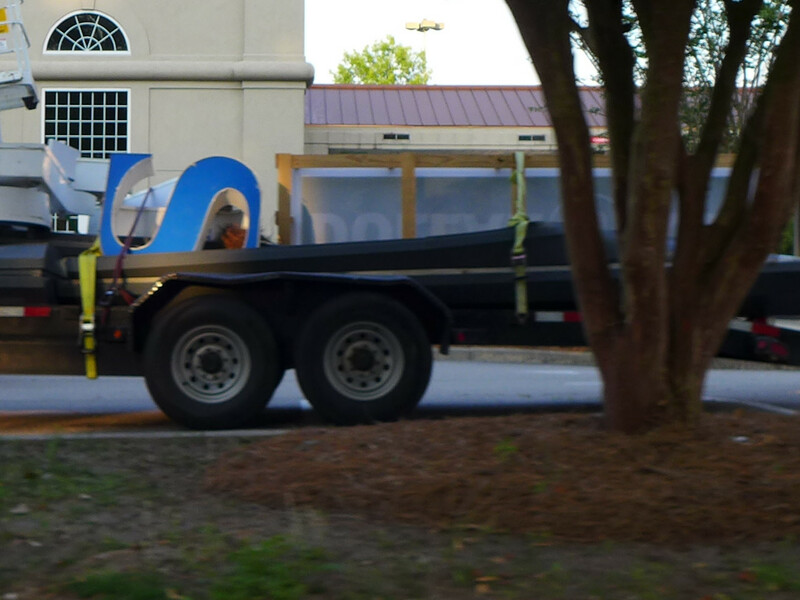 Hopefully I can add some commentary tomorrow, but for now I just want to get these pictures out there. 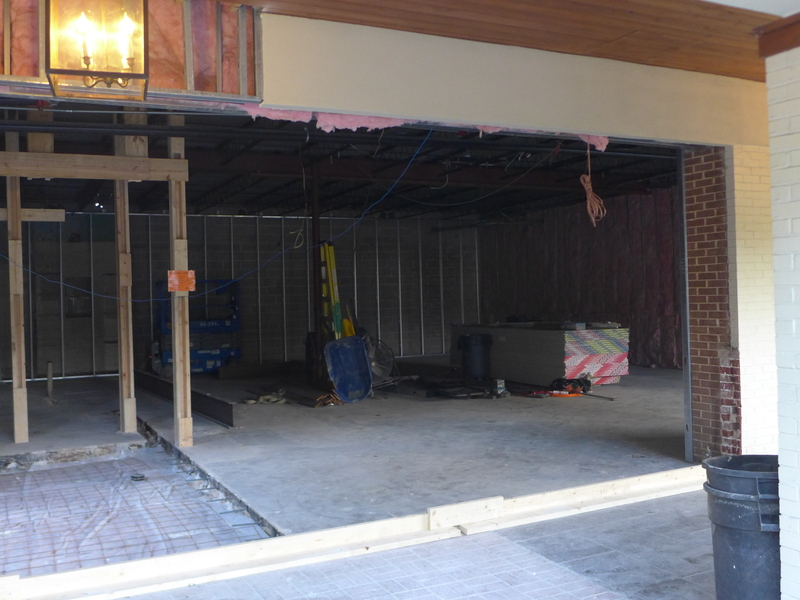 UPDATE 16 October 2015: Ok, I was under the weather for a few days, but let me add a little text here now. 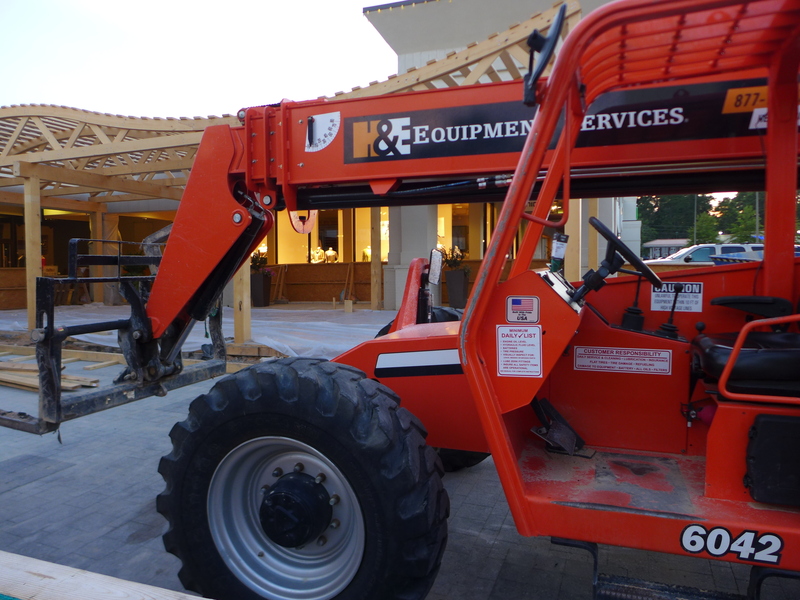 First, I am happy to say that even as these pictures were taken, on Sunday 11 October 2015, recovery work was in full stride. 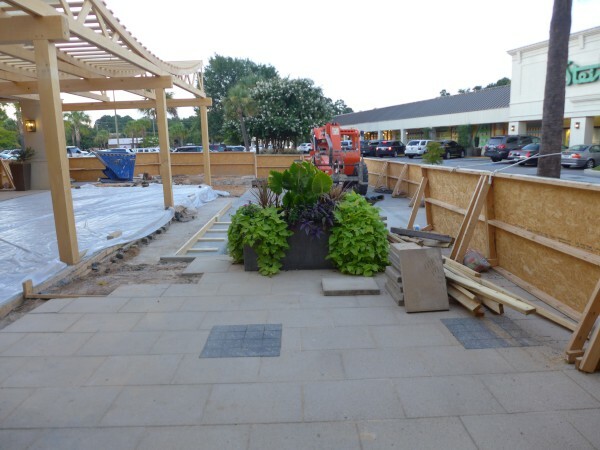 All the flooded and gutted buildings on Forest Drive had evidence that of ongoing work and cleanup, and I noticed today (15 October 2015) that the Garden Center in Forest Lake Shopping Center was once again stocked and open for business. 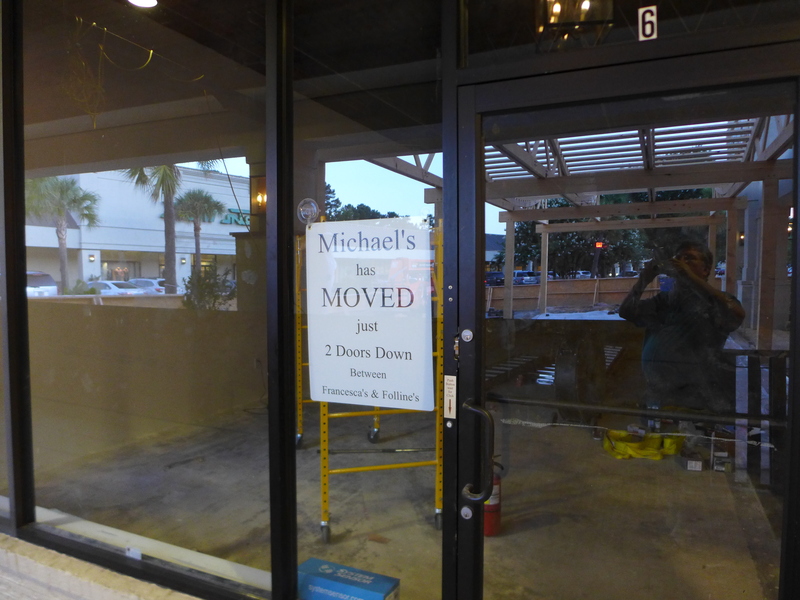 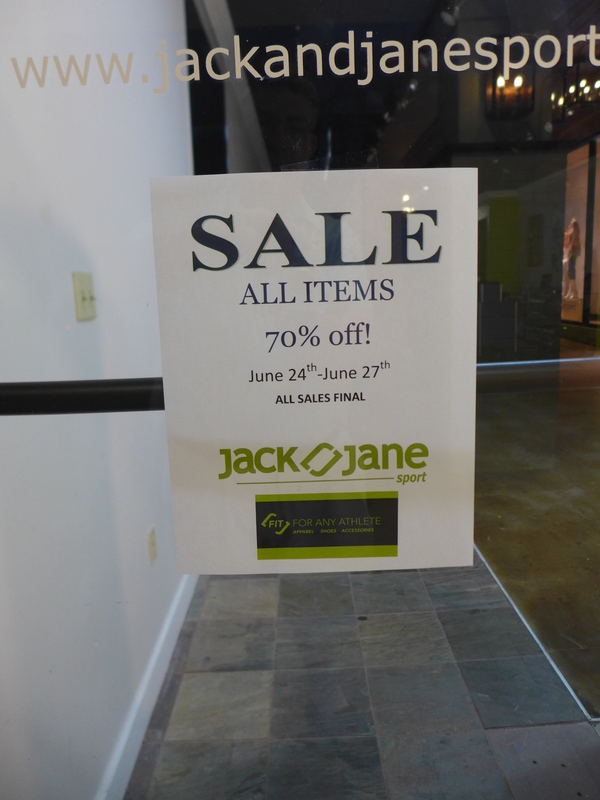 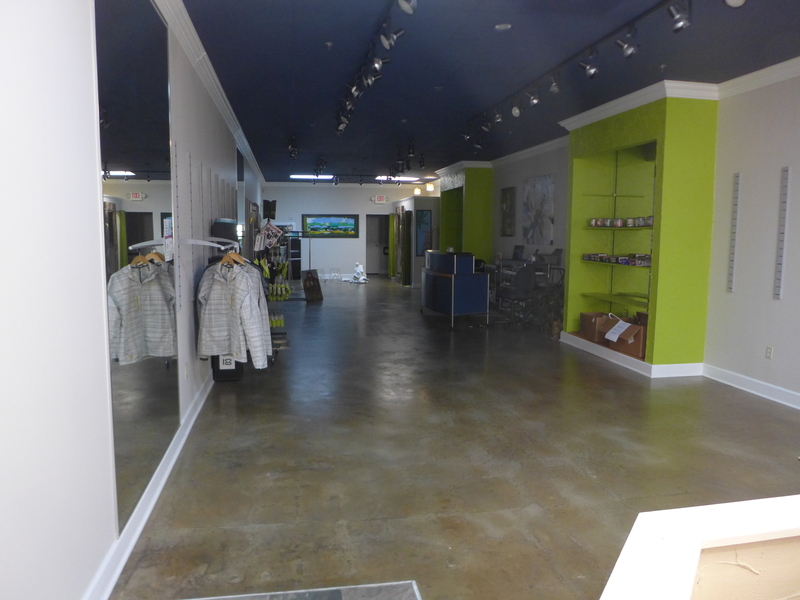 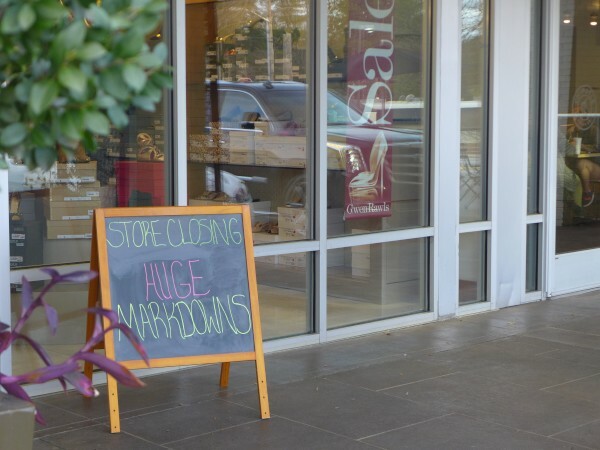 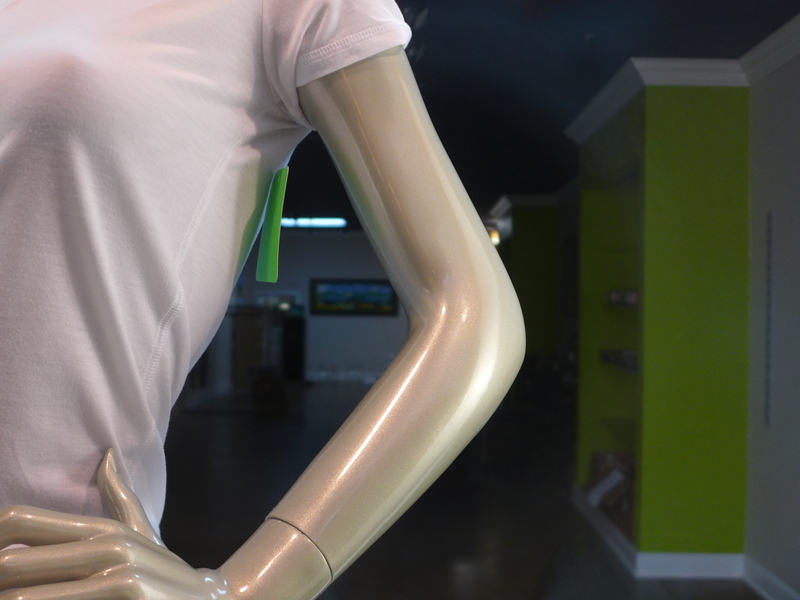 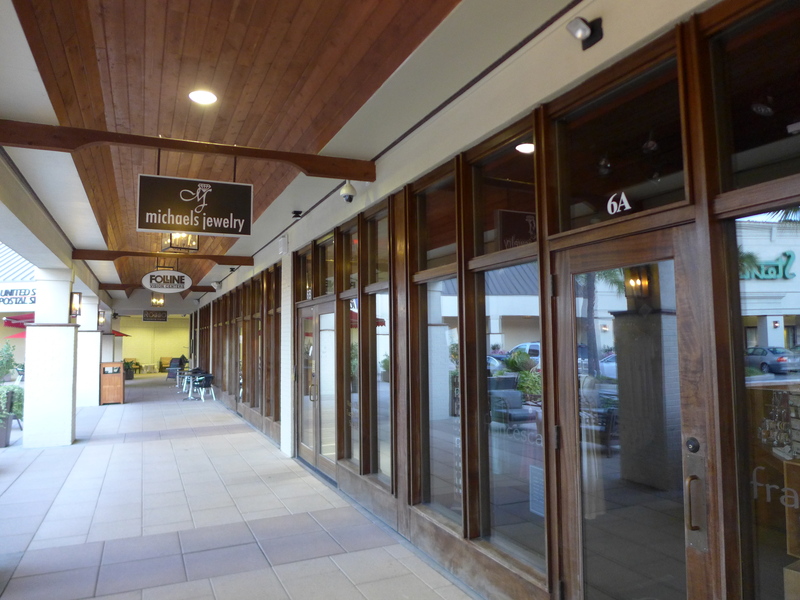 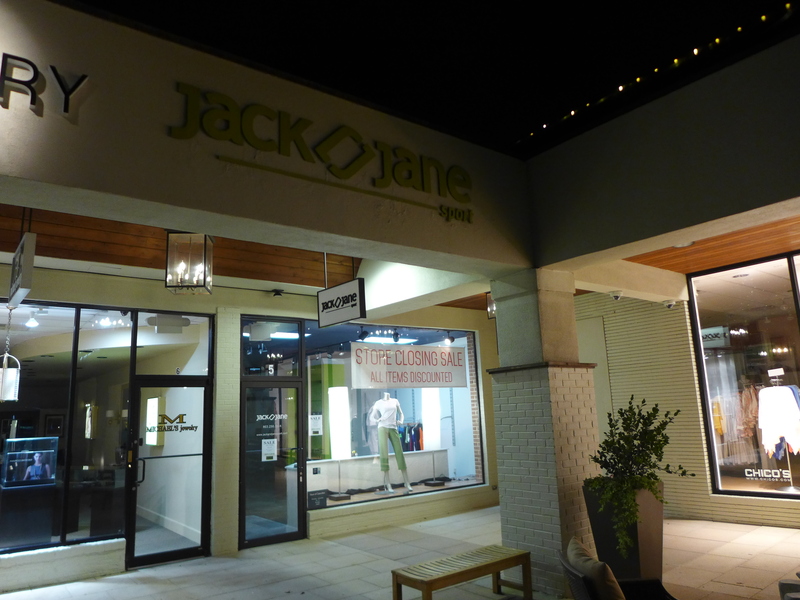 Commenter mamarose notes the upcoming closing of Jack and Jane Sport in Trenholm Plaza. 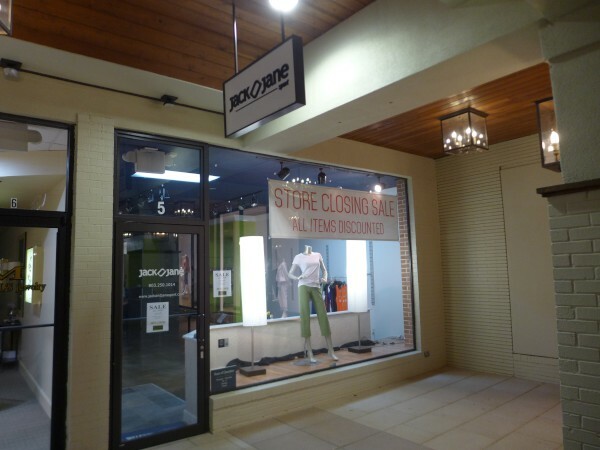 I have to admit that since I don't like clothes shopping and since nobody has ever mistaken me for someone who does sports, I couldn't place this storefront in my mind and had to drive around the plaza looking for it. 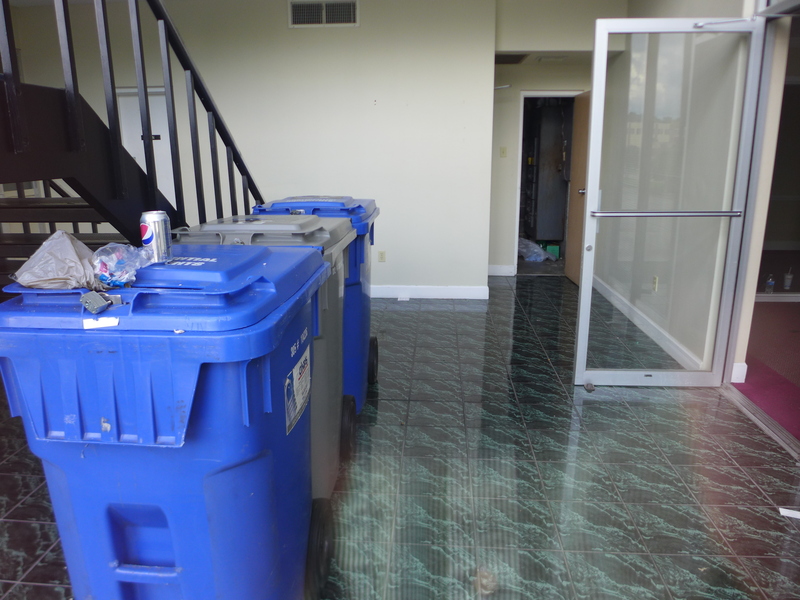 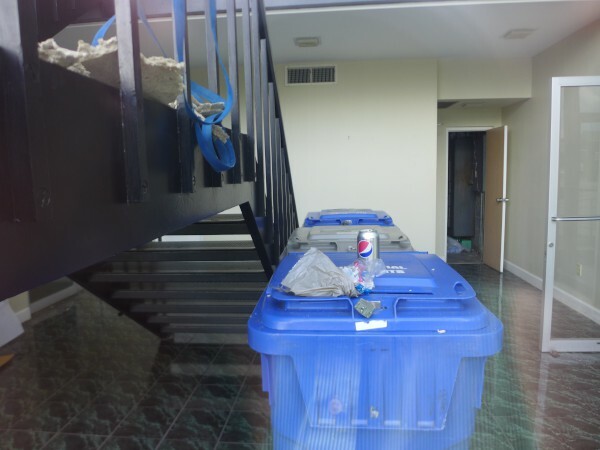 In the event, it turns out to be in the suite formerly occupied by La Bag Lady which closed in 2012. 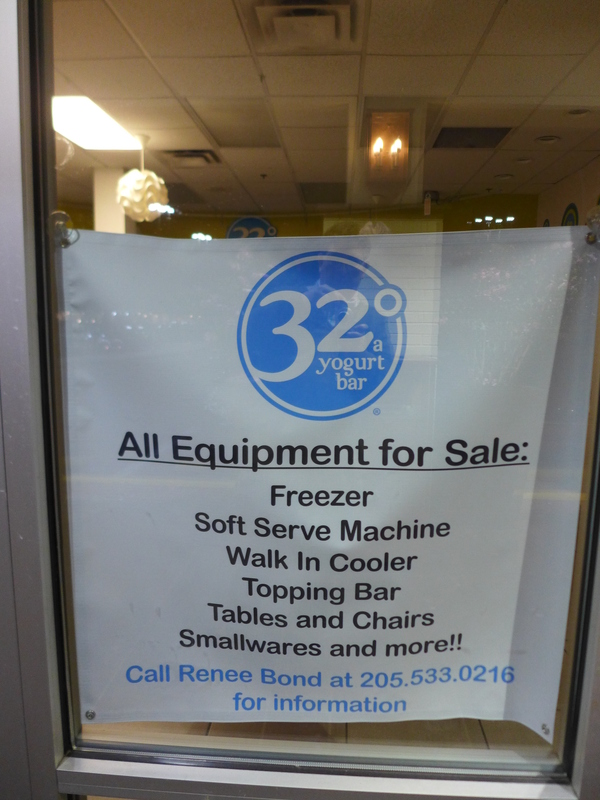 It appears to be chilly in there.